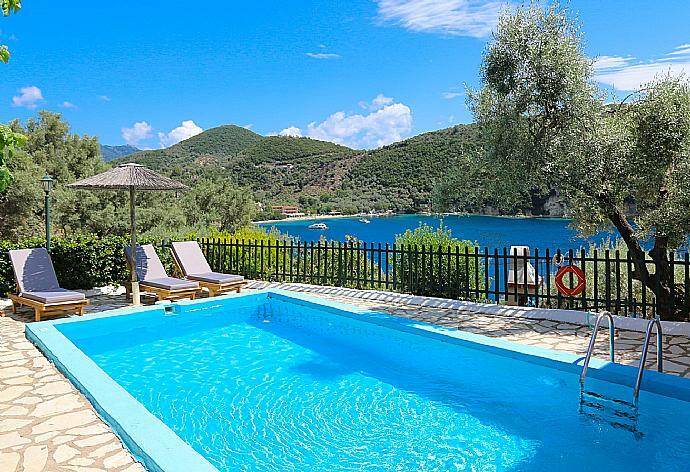 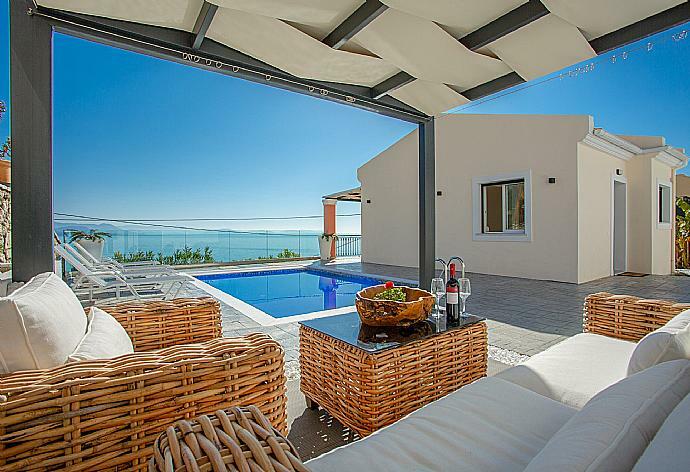 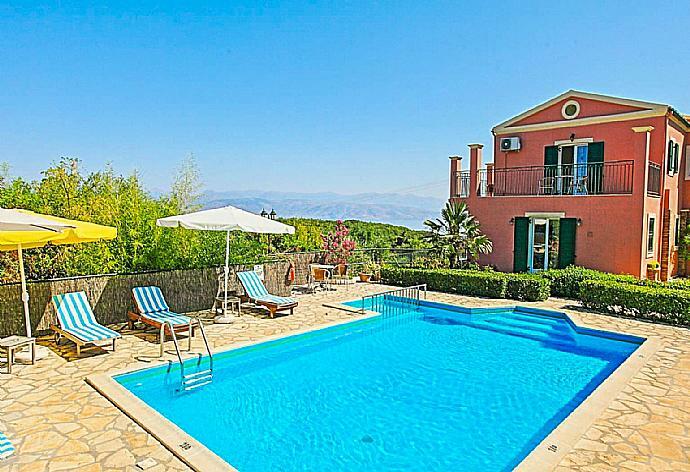 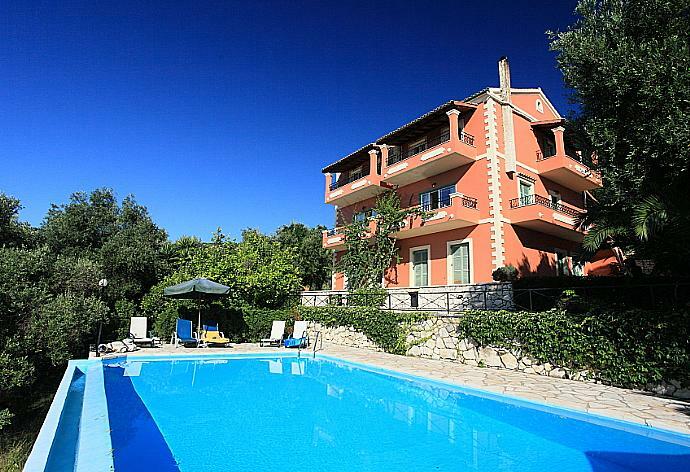 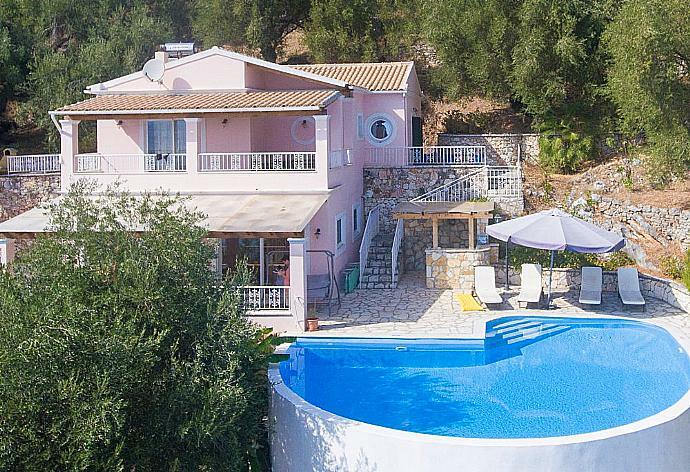 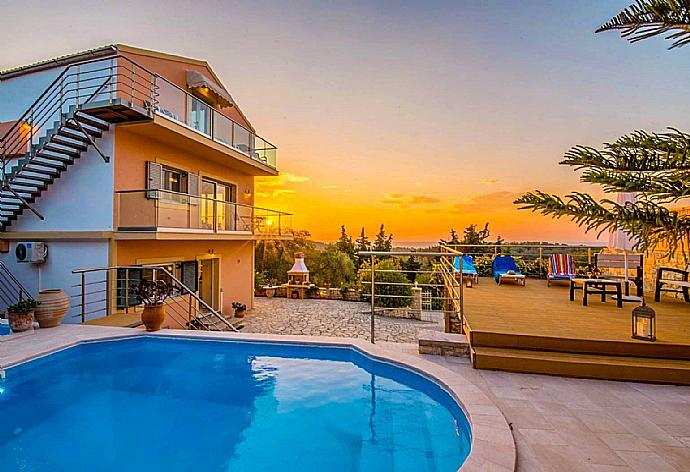 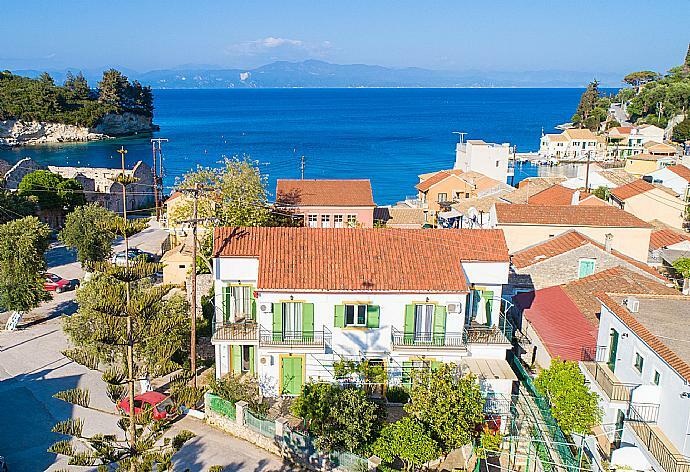 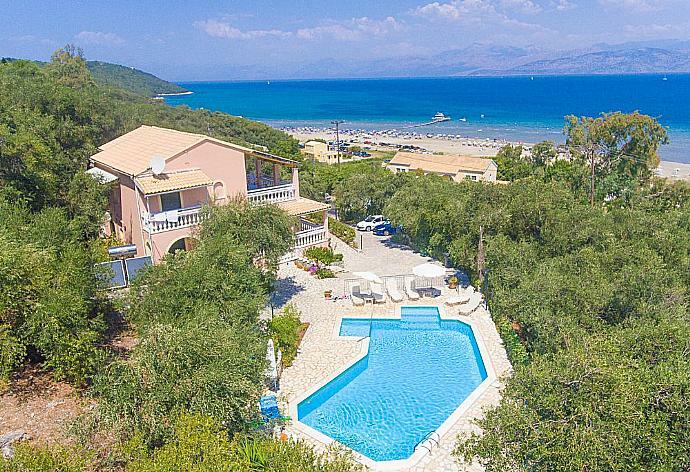 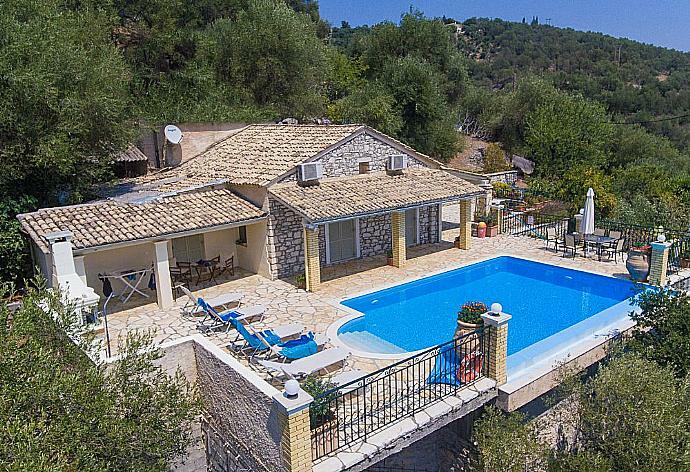 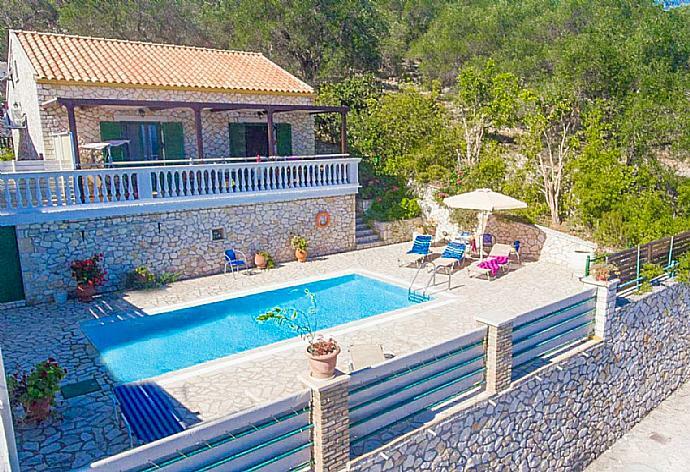 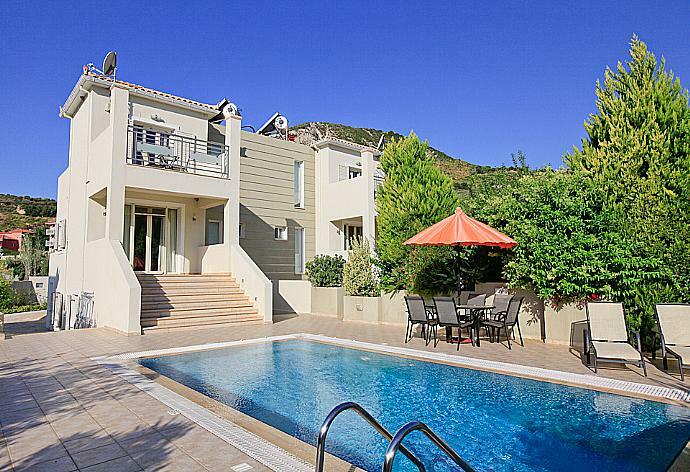 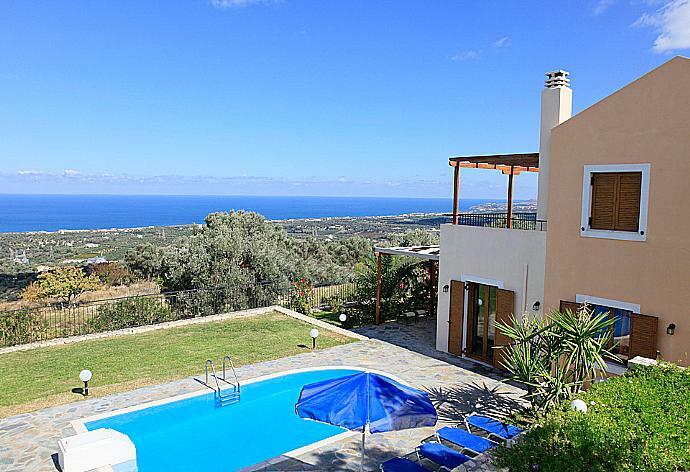 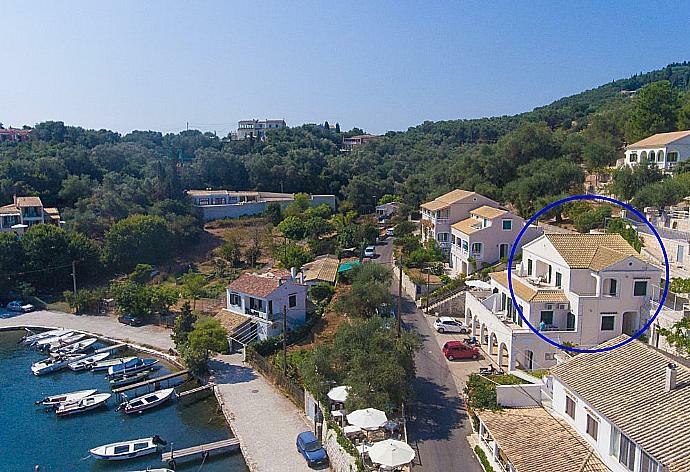 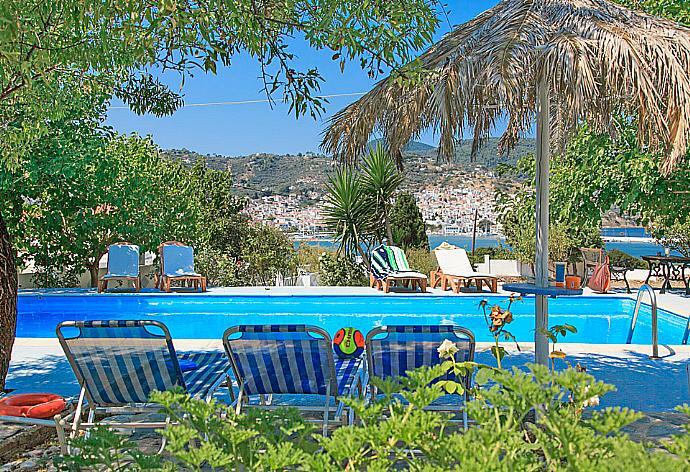 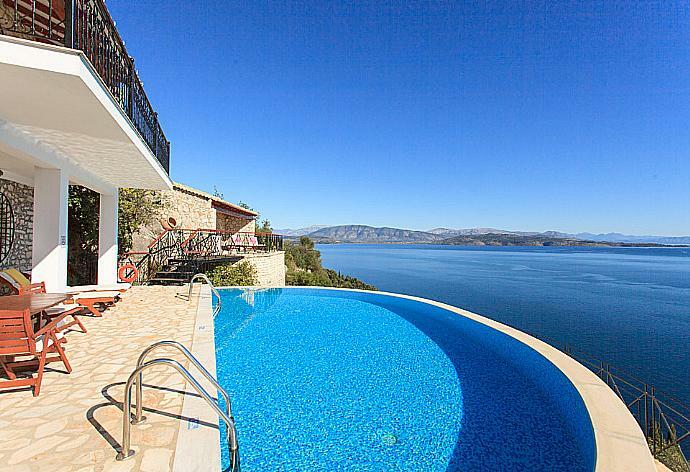 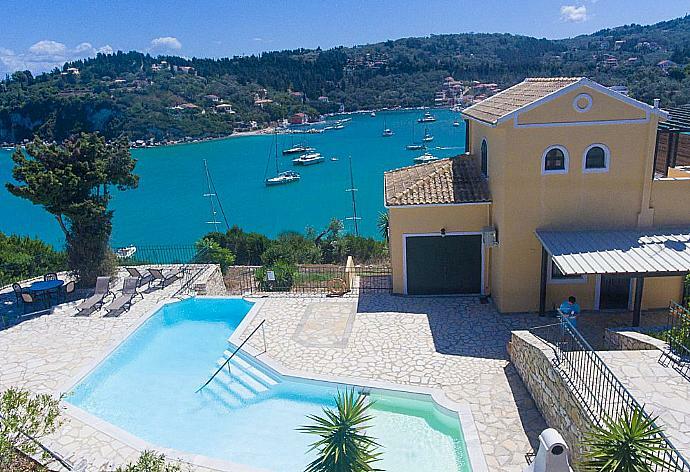 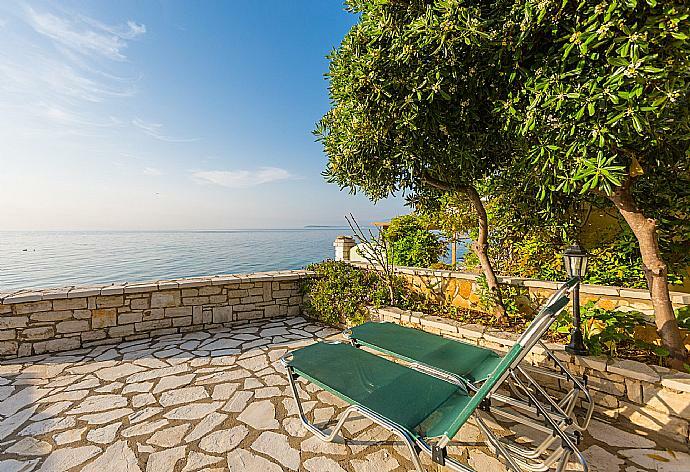 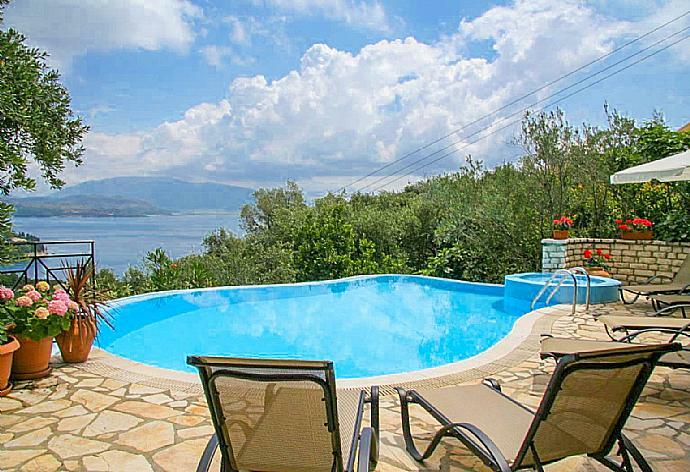 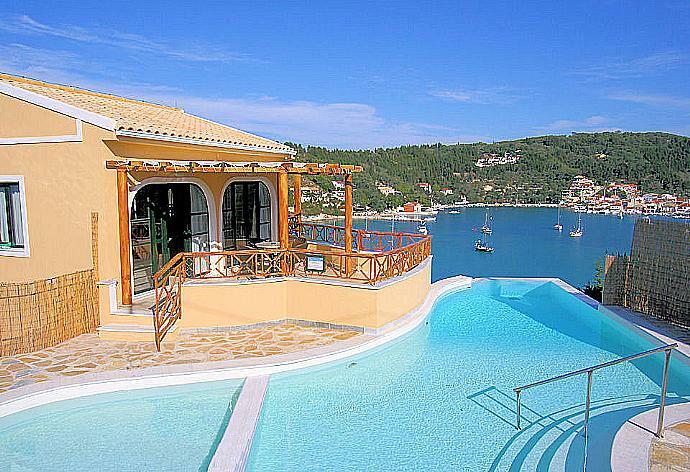 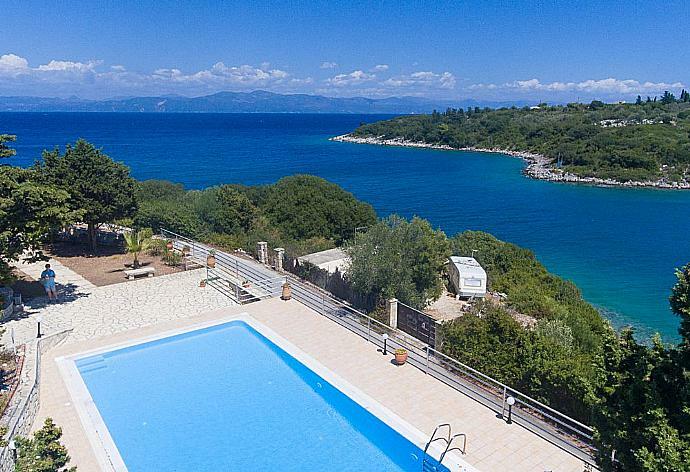 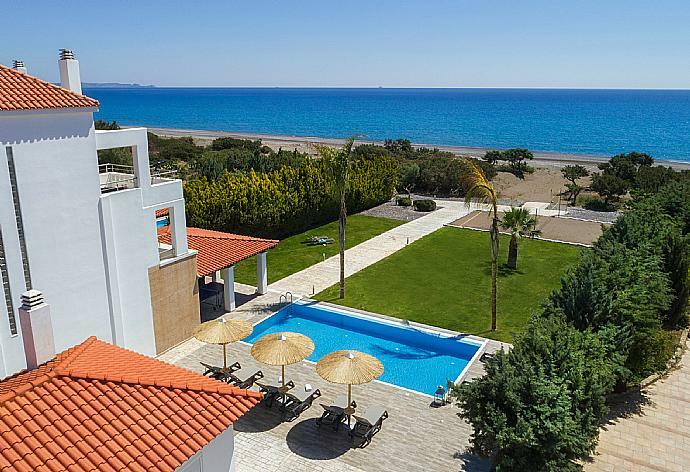 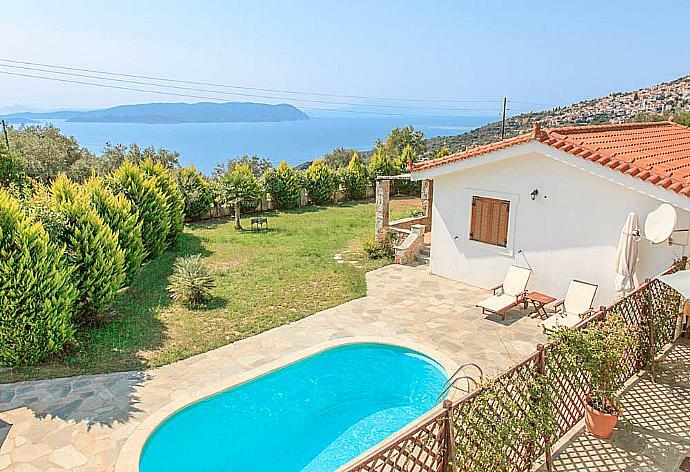 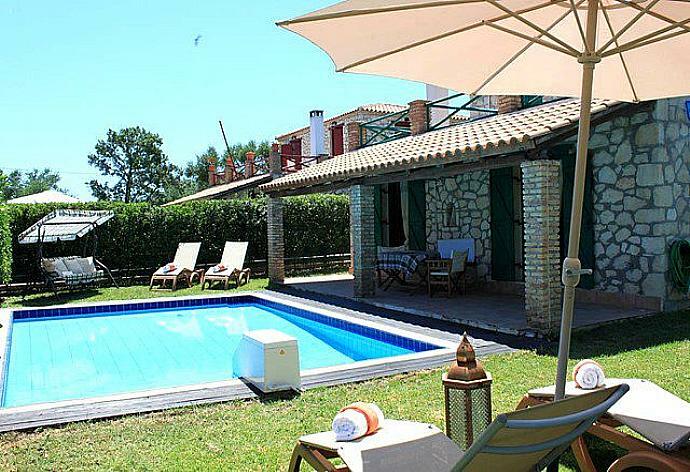 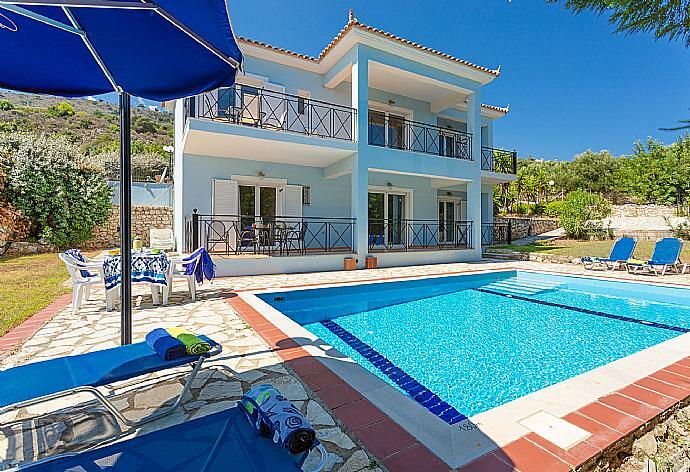 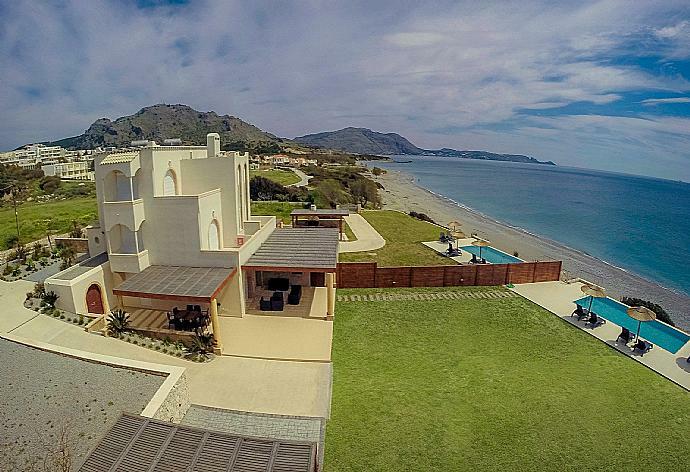 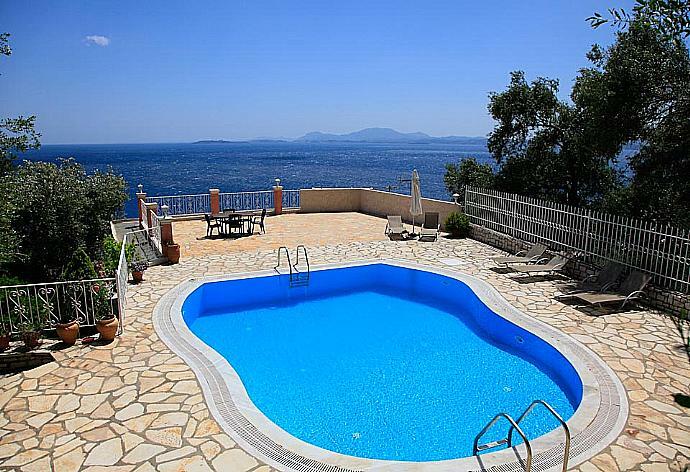 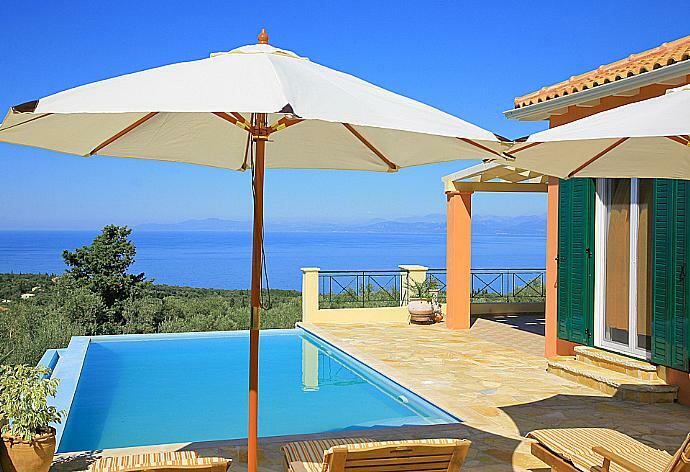 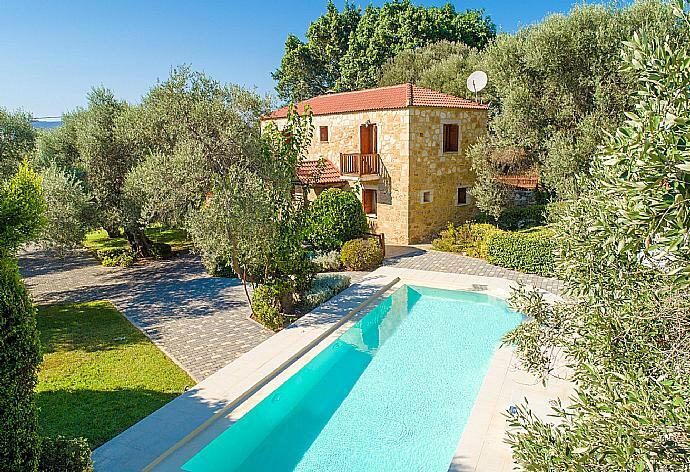 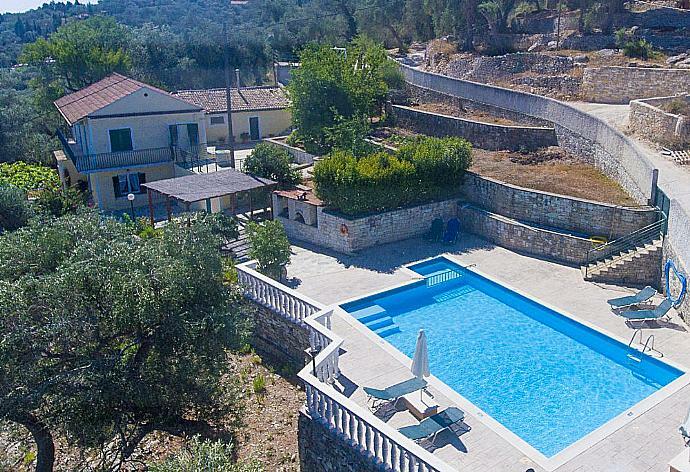 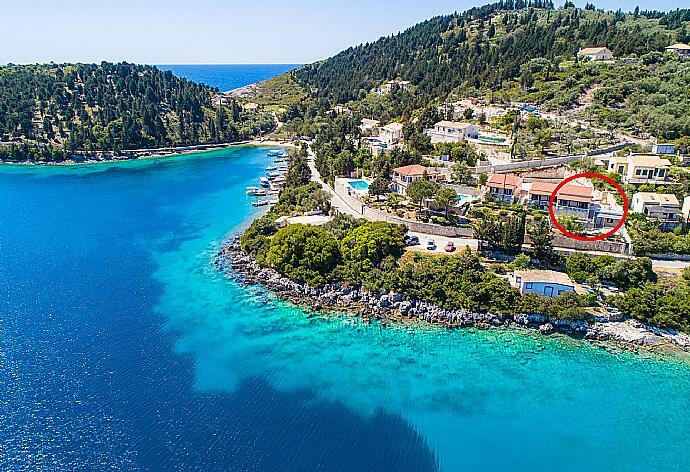 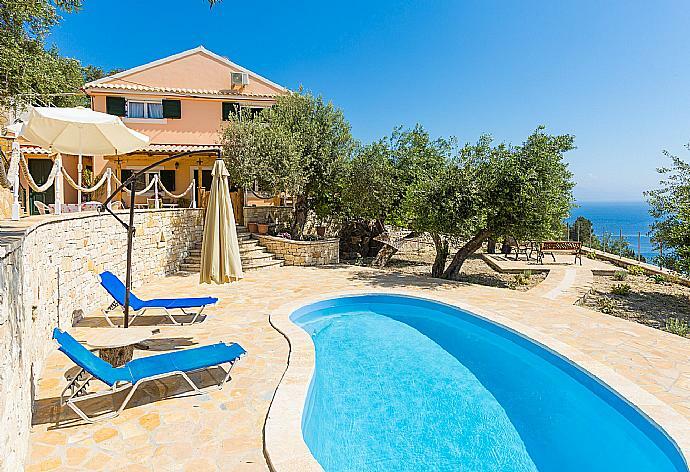 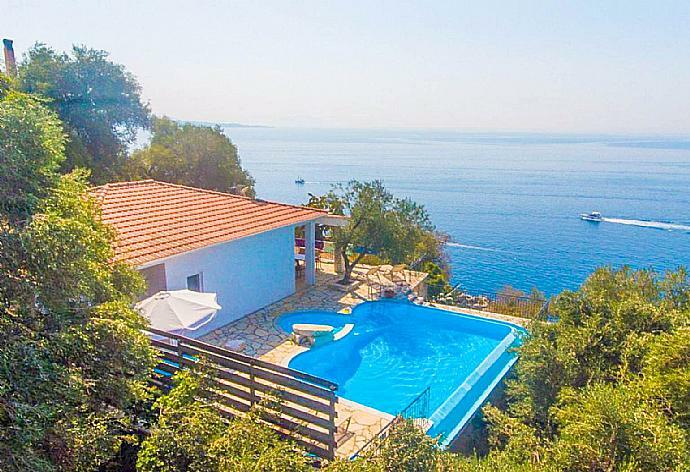 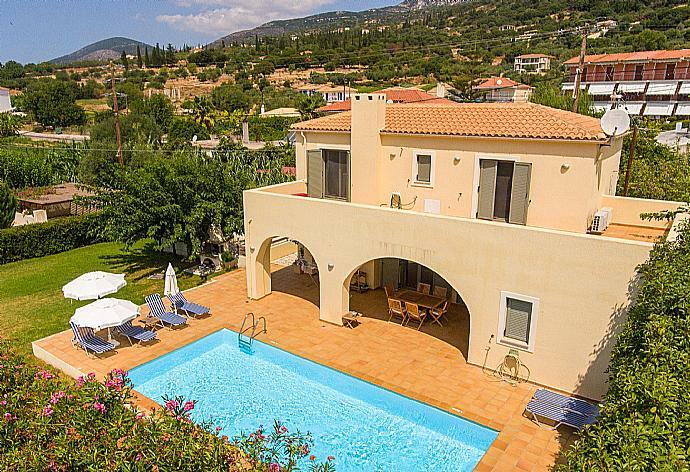 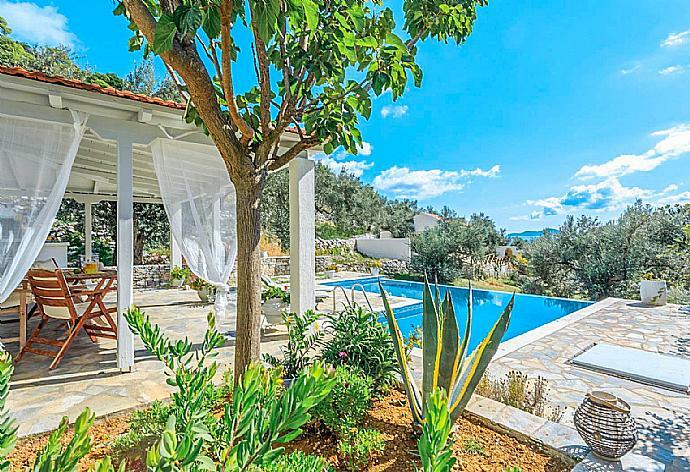 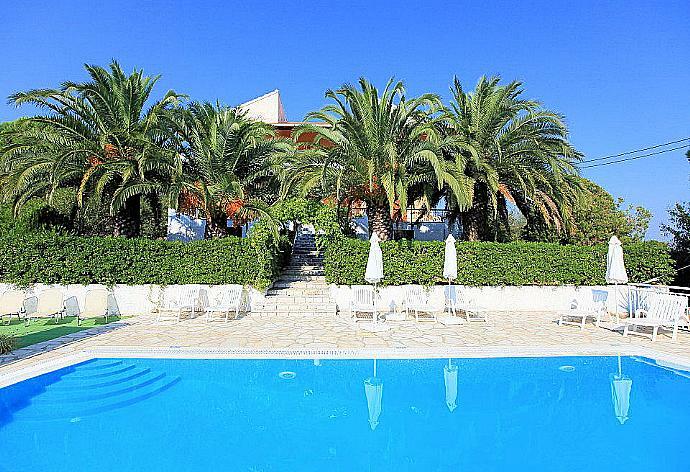 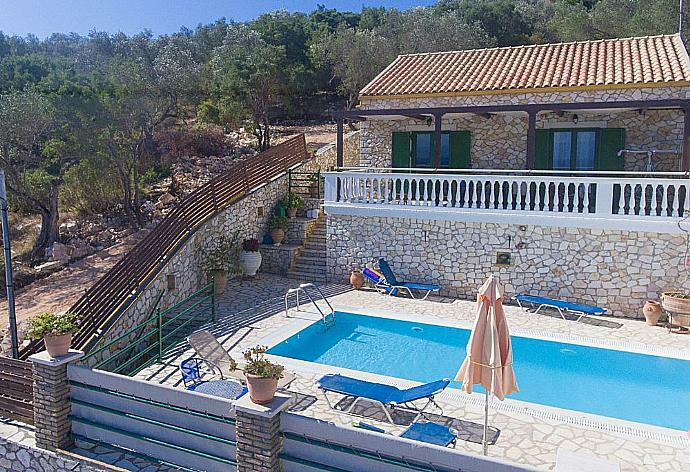 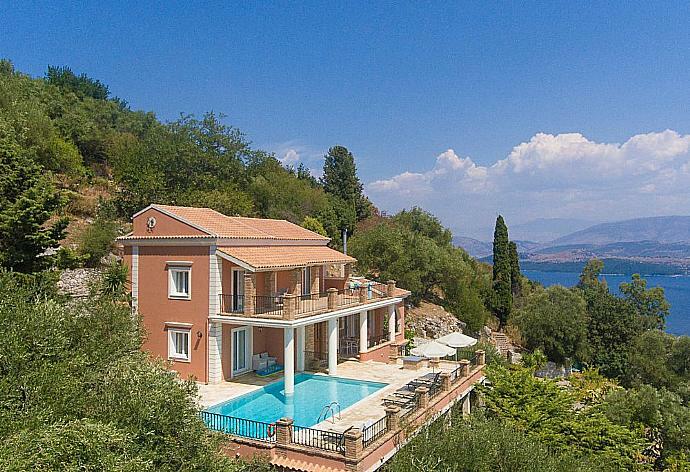 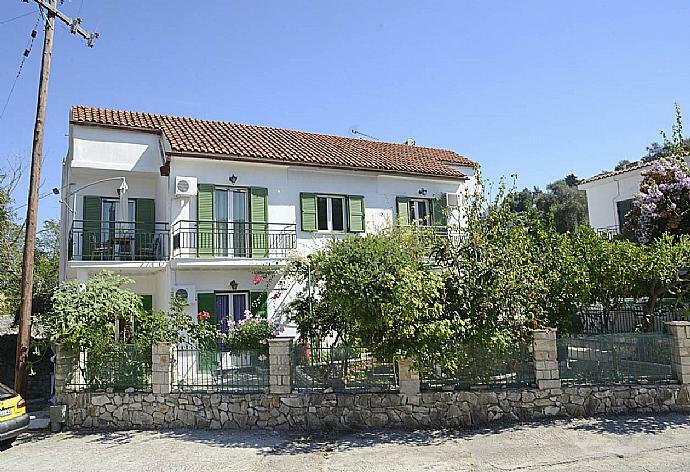 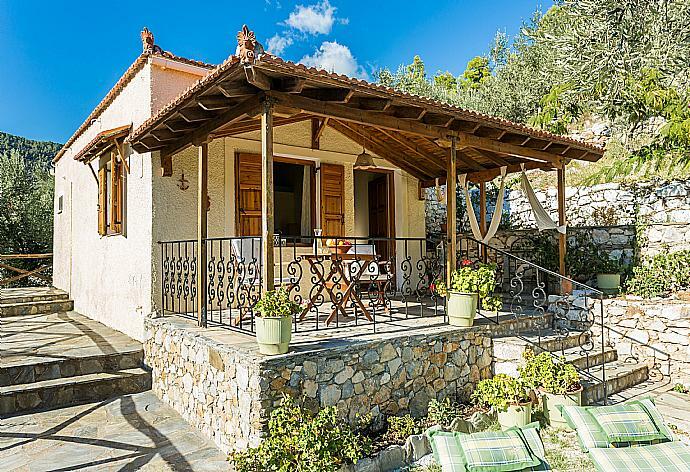 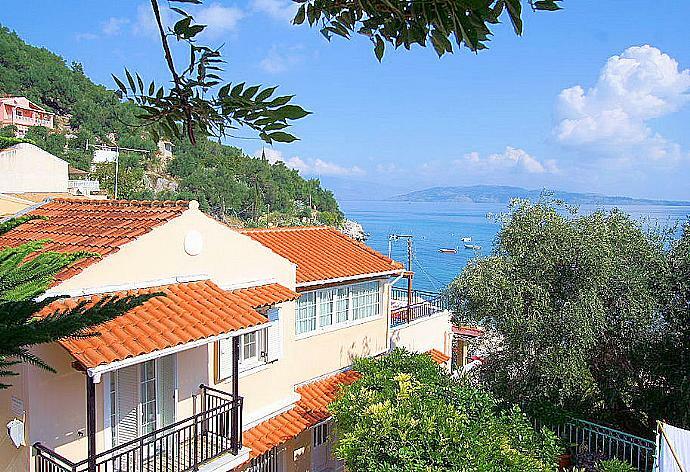 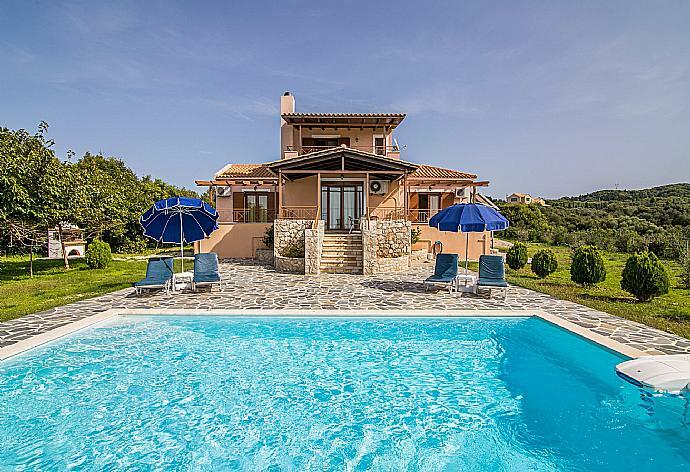 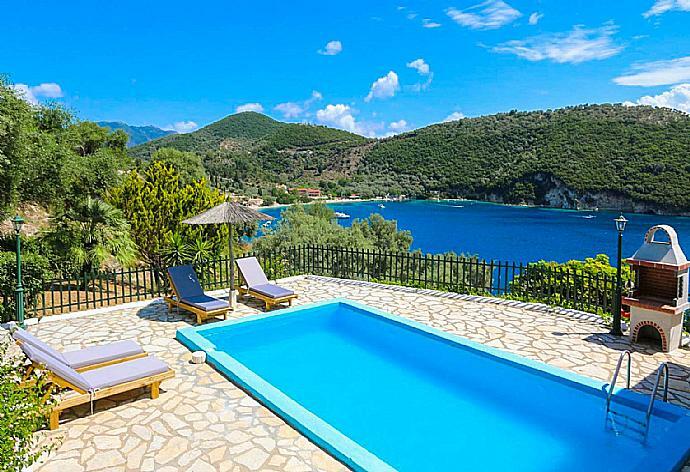 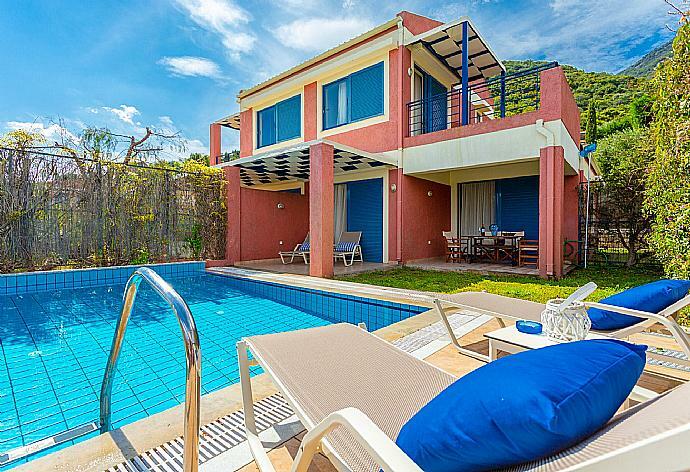 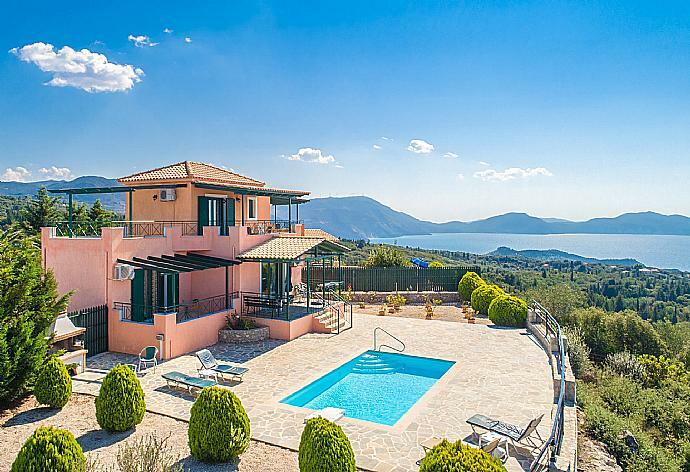 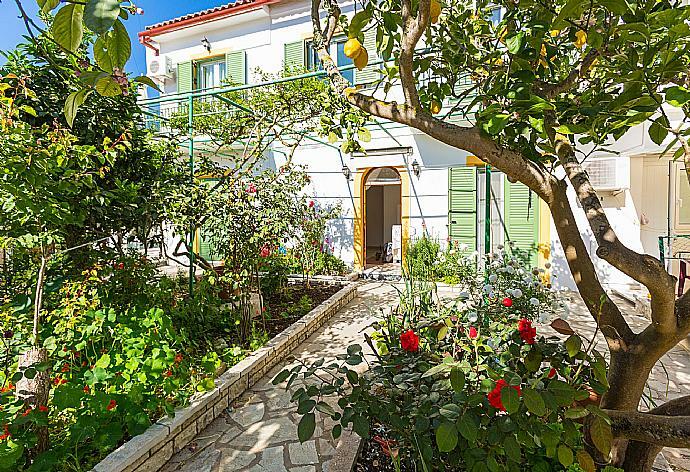 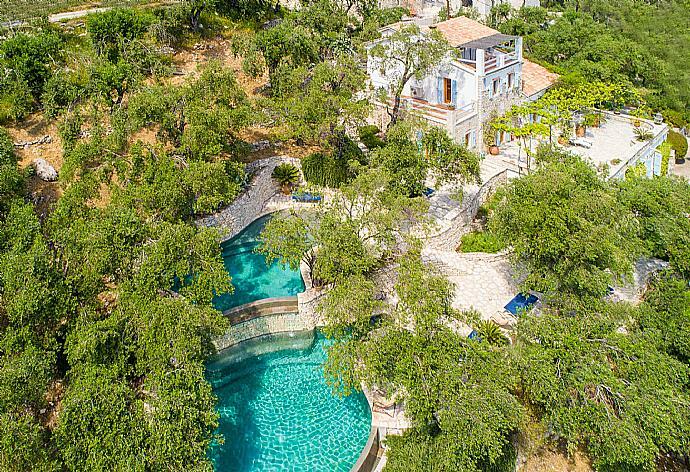 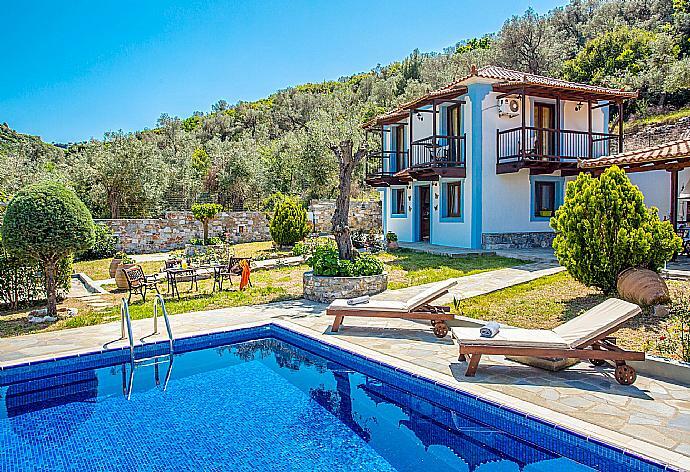 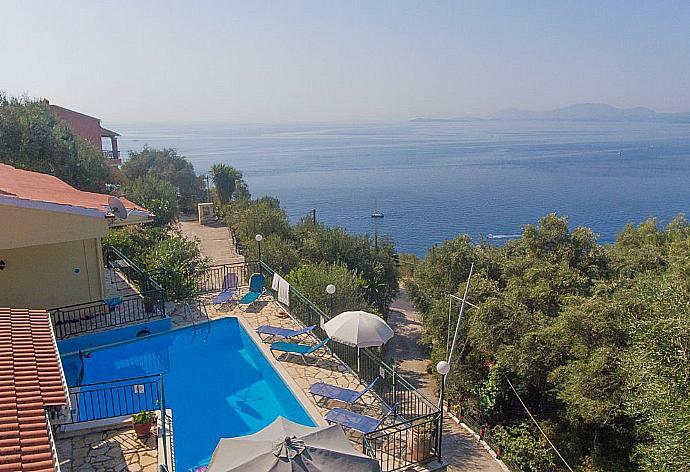 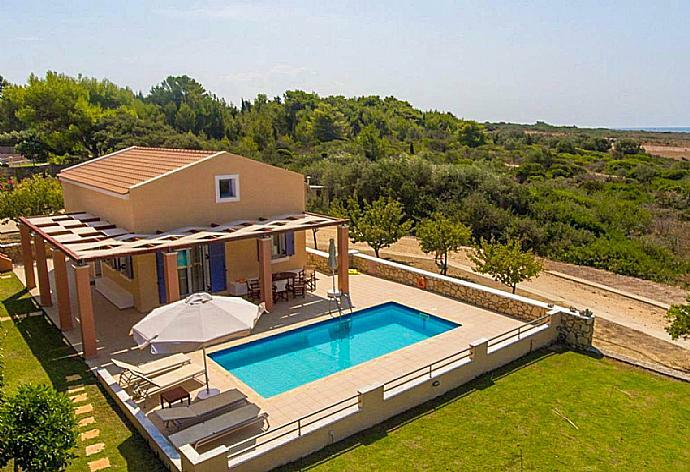 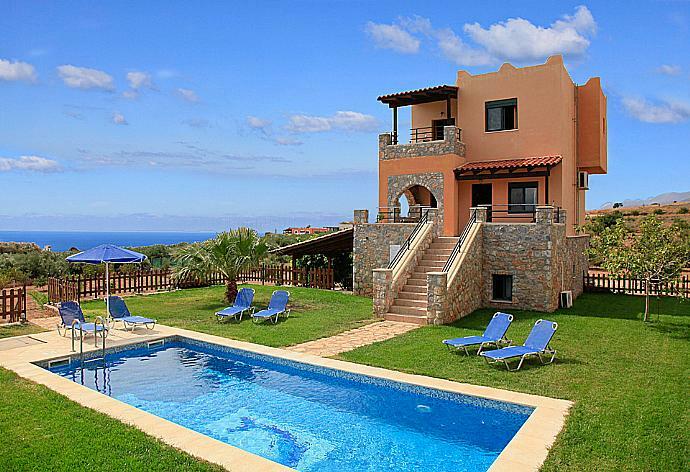 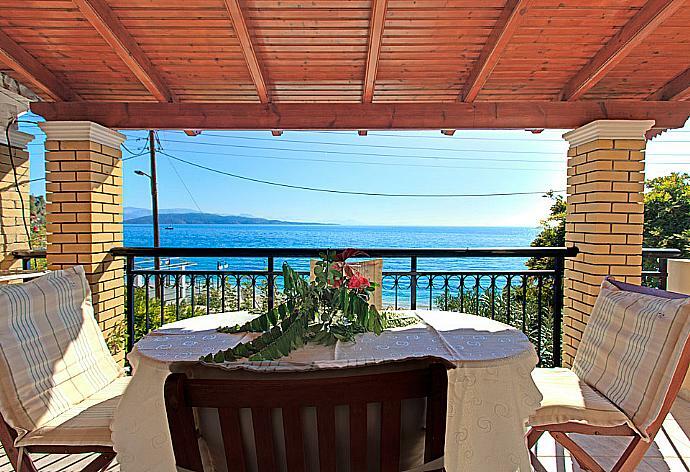 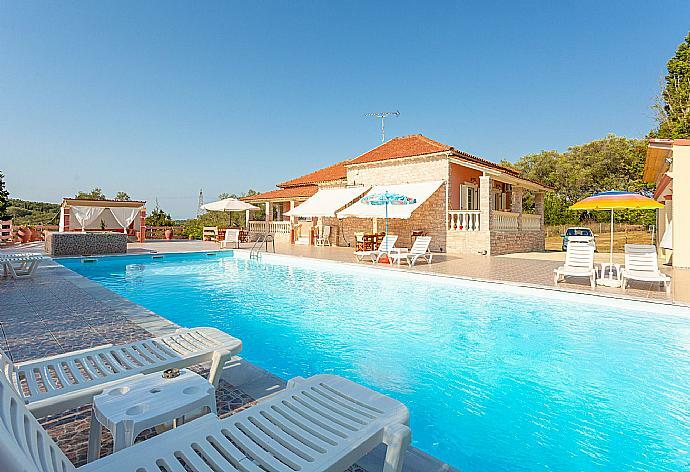 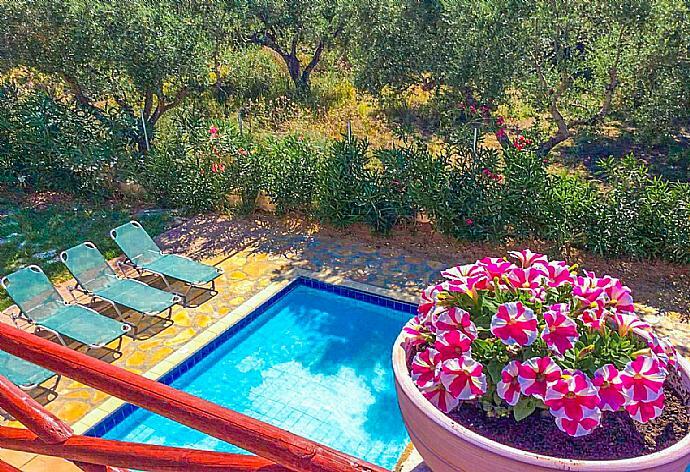 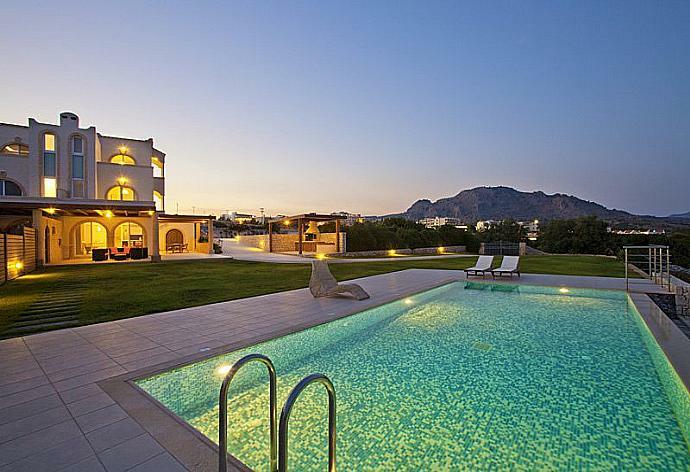 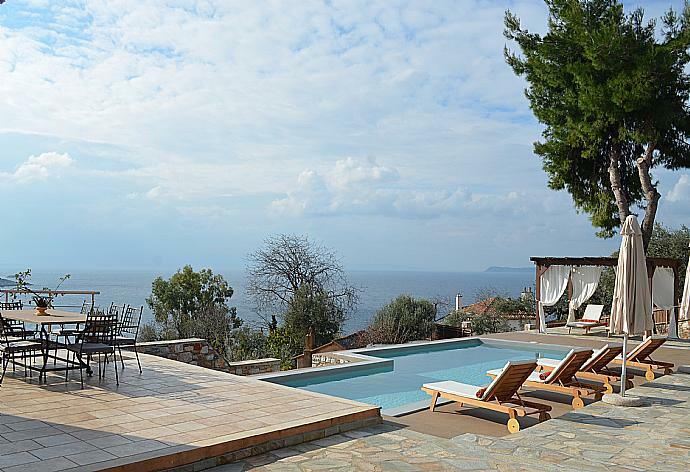 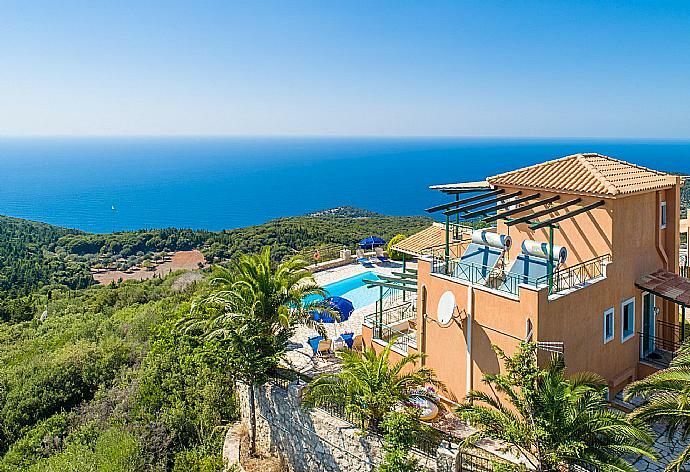 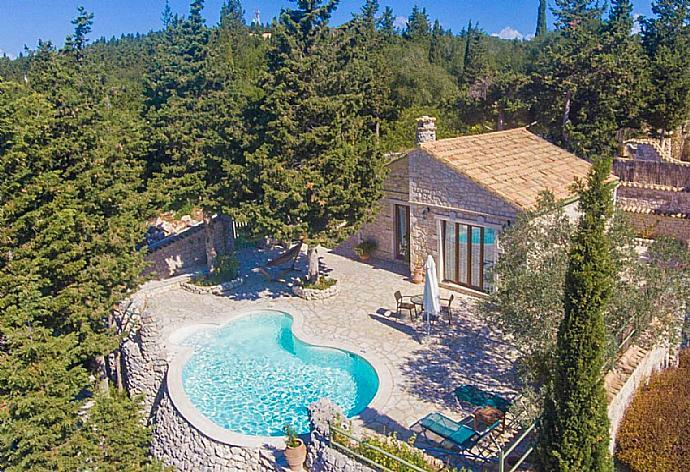 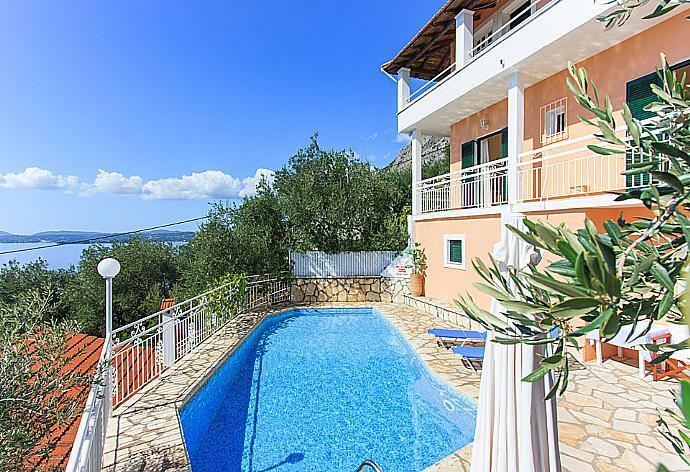 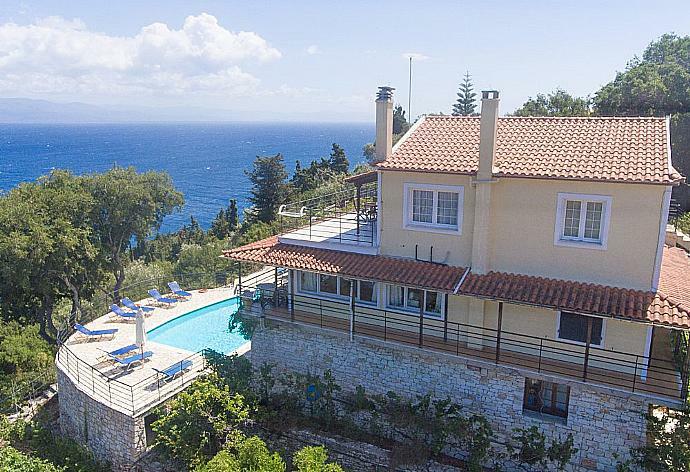 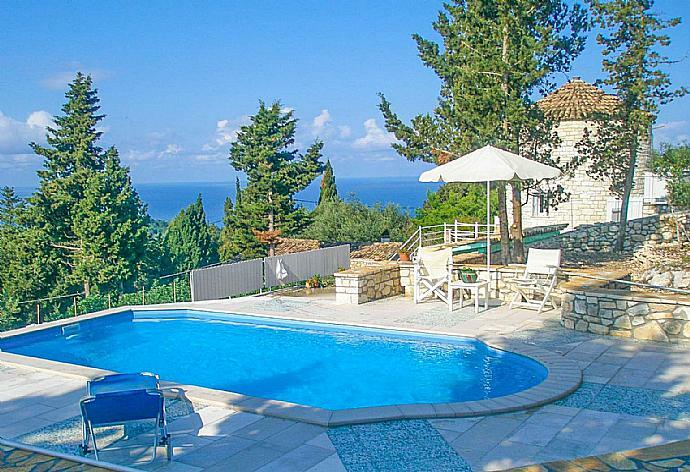 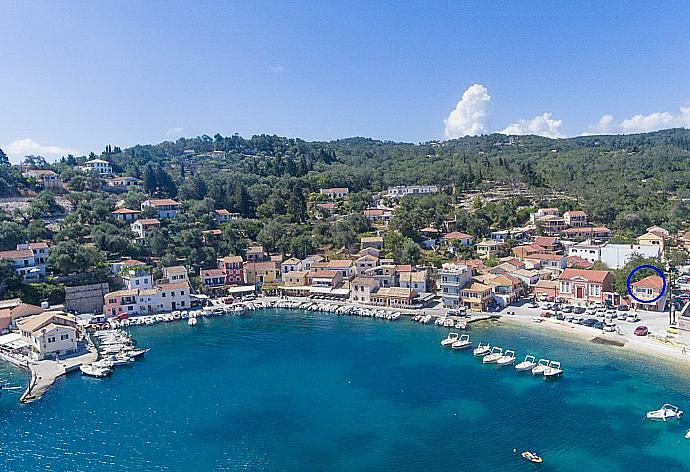 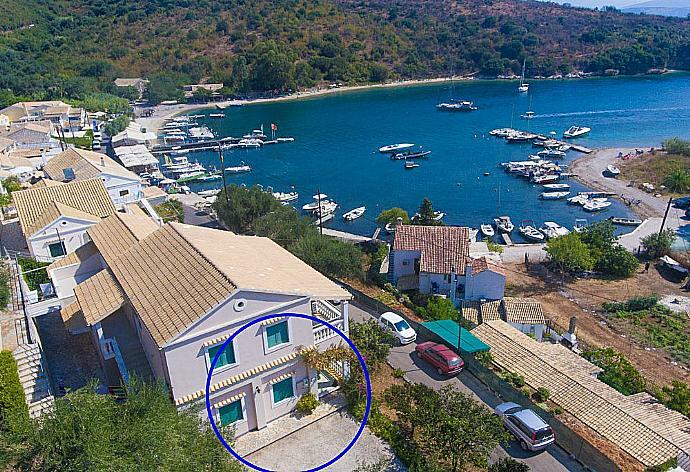 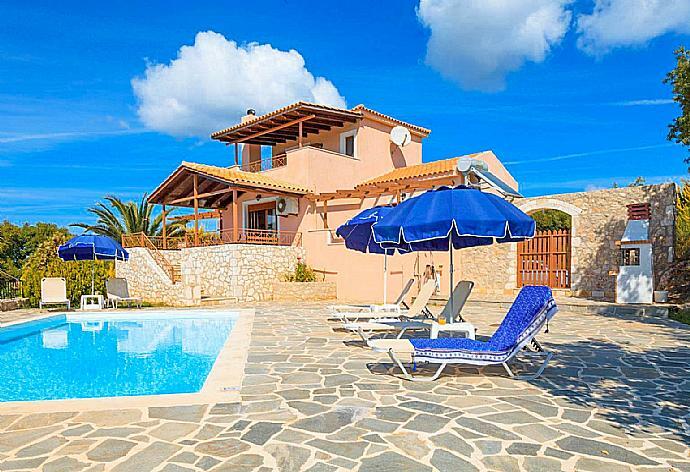 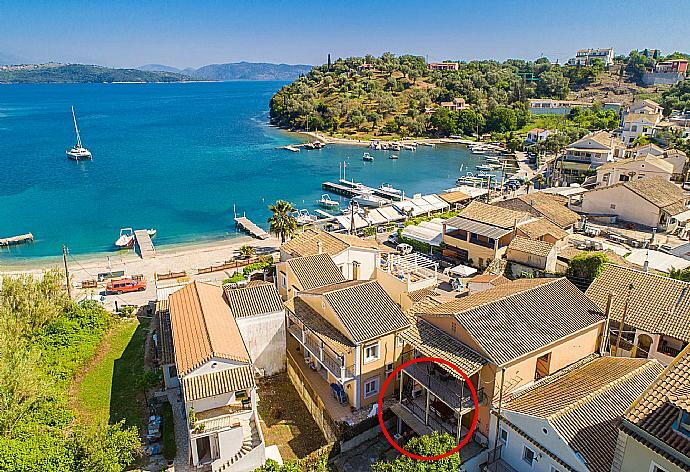 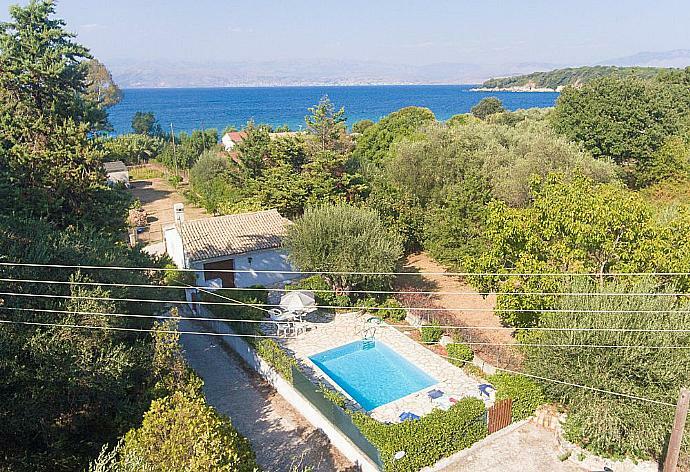 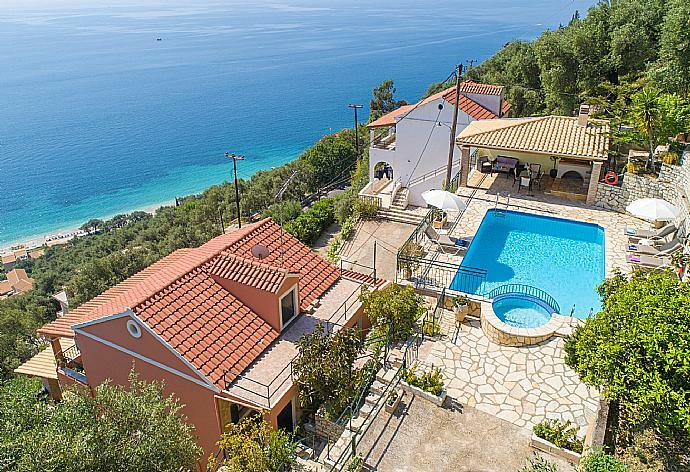 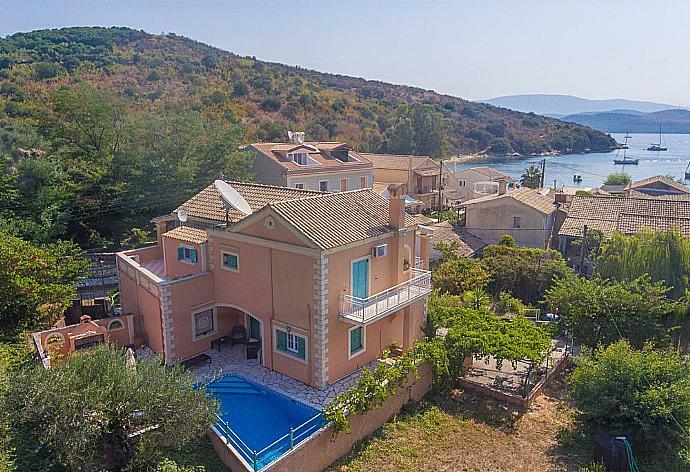 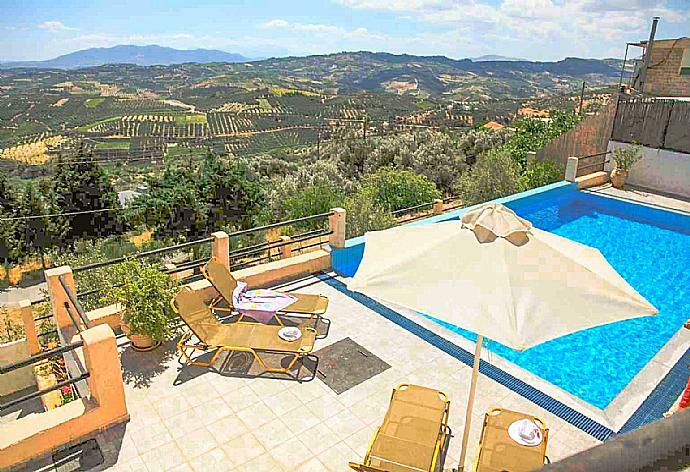 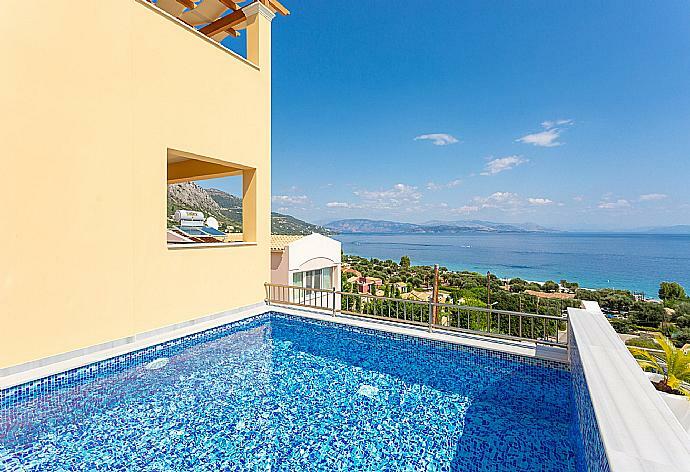 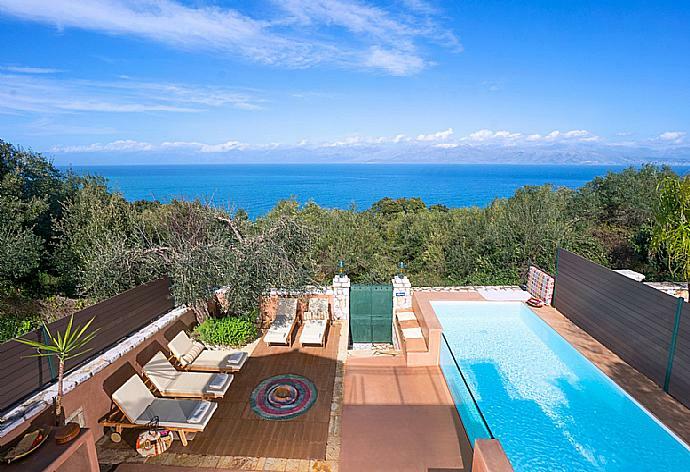 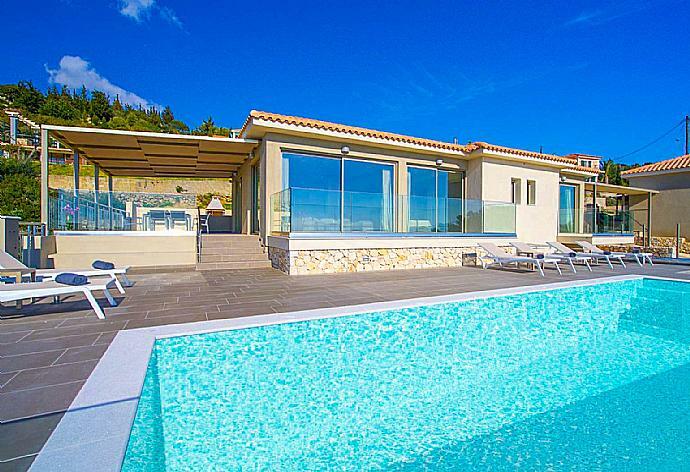 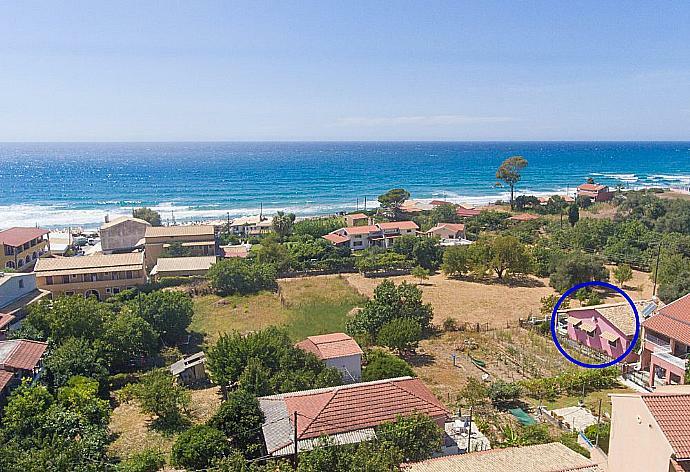 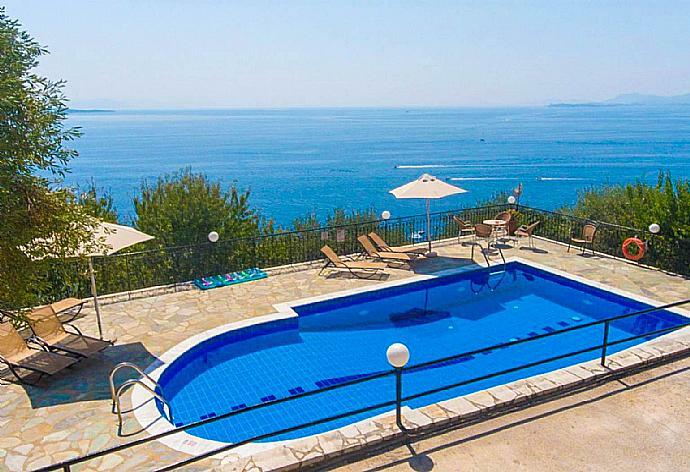 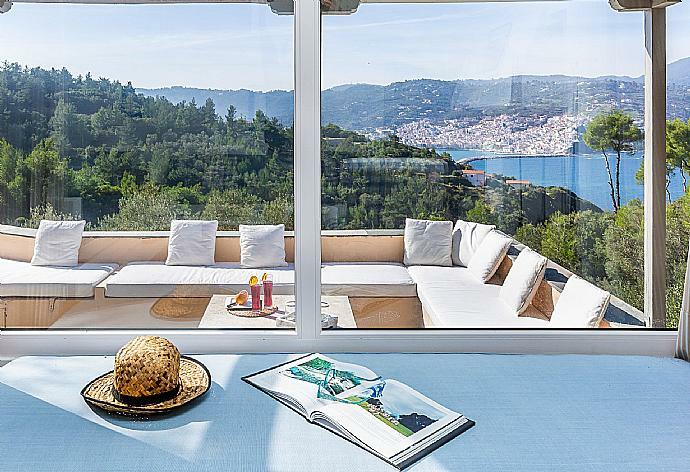 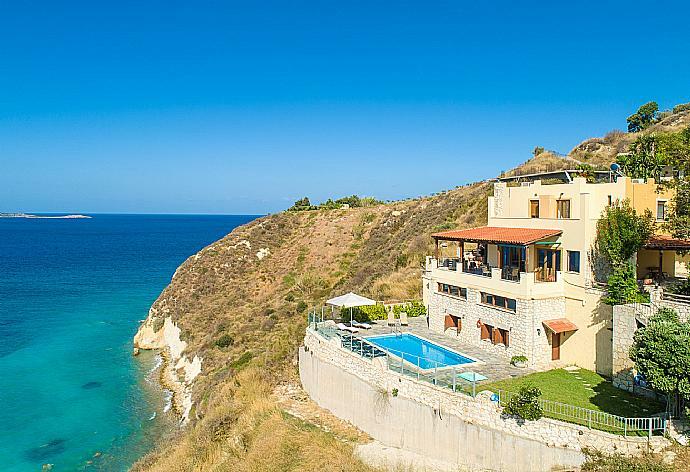 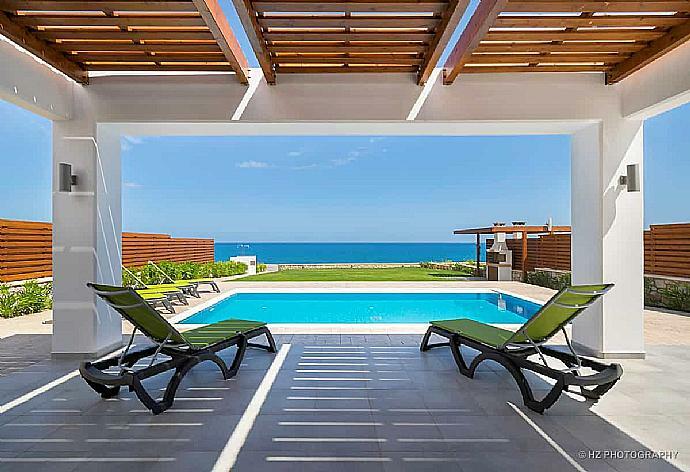 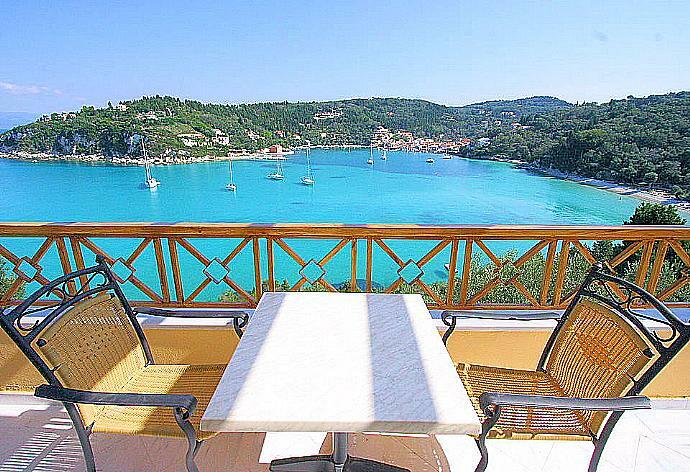 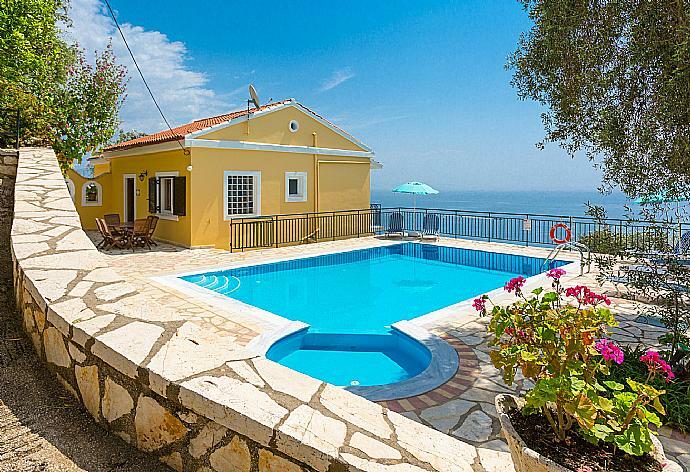 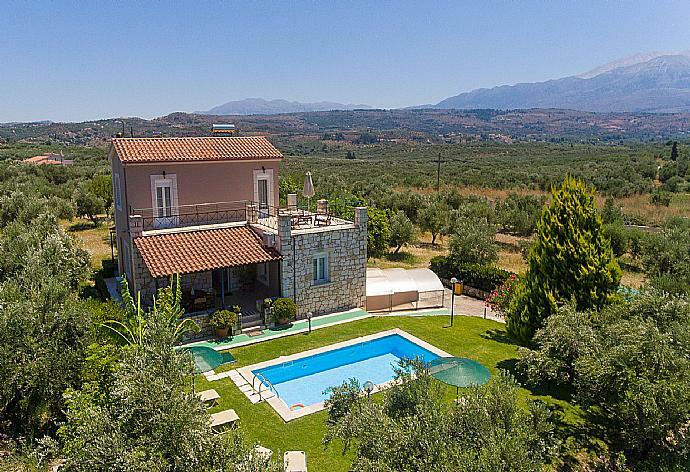 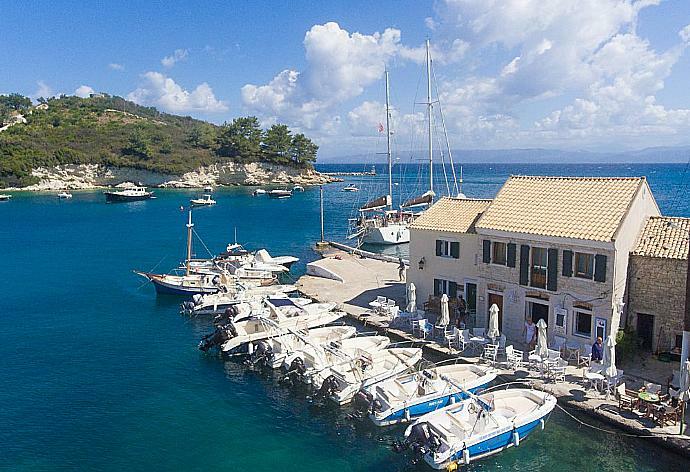 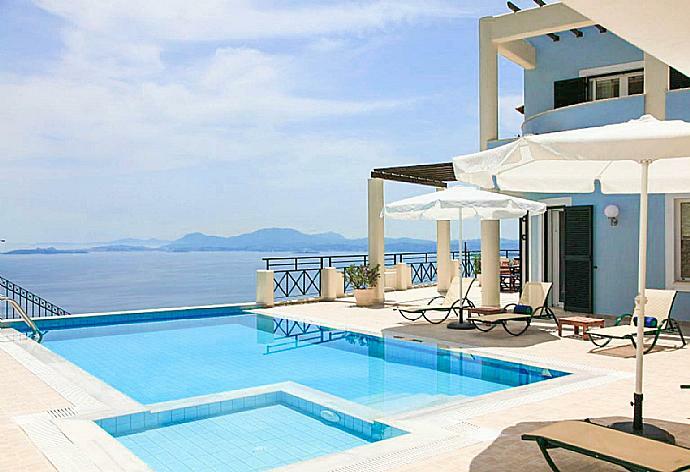 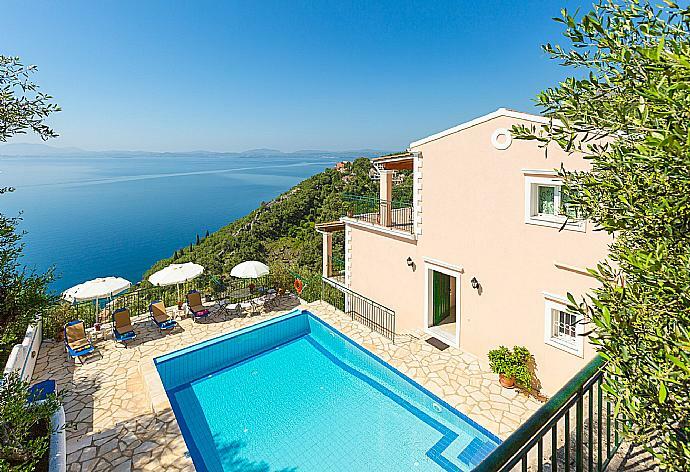 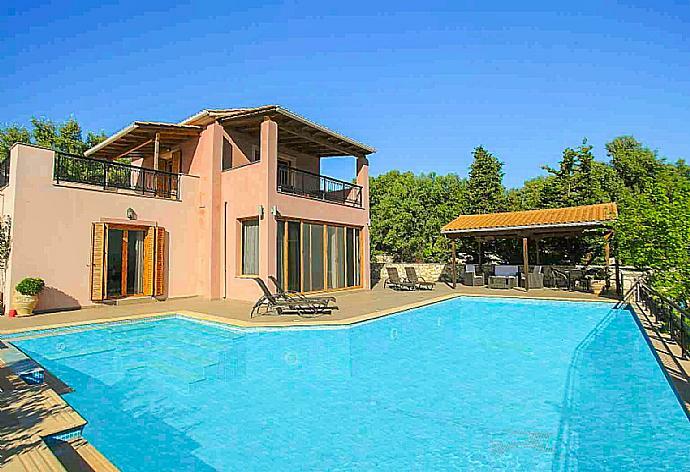 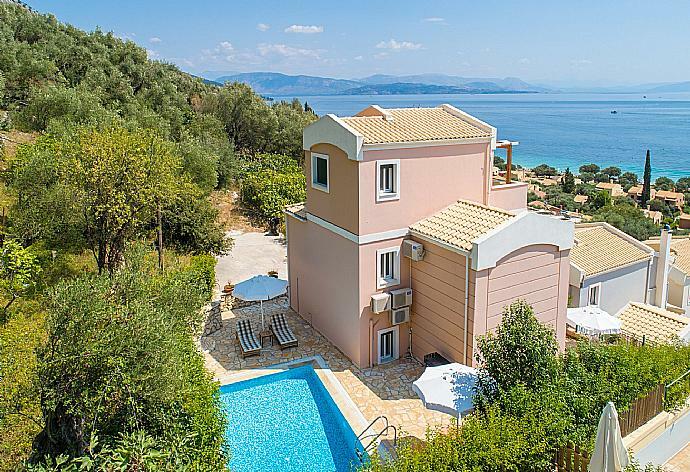 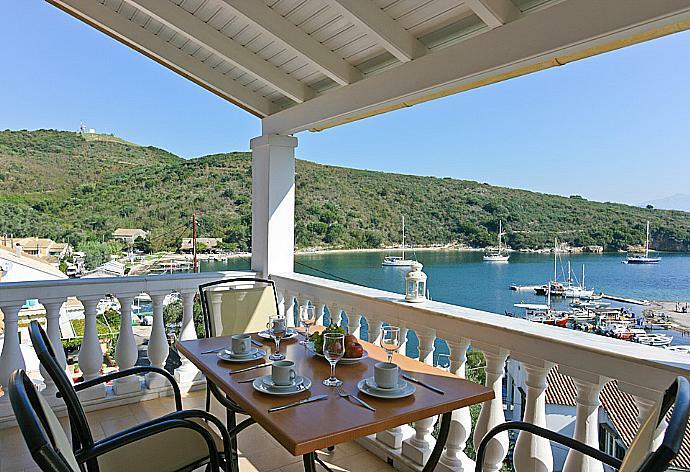 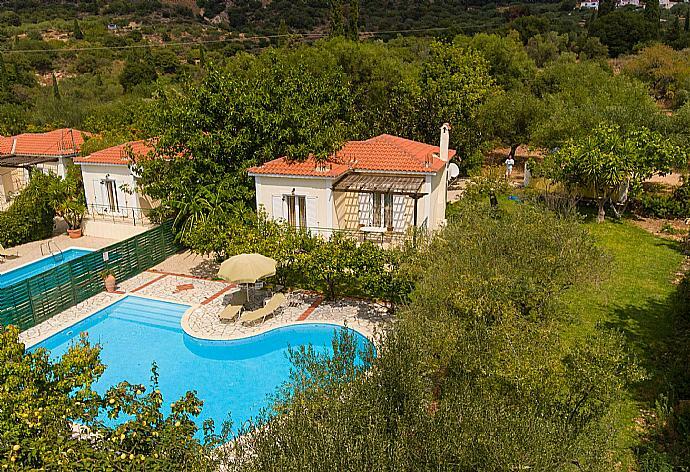 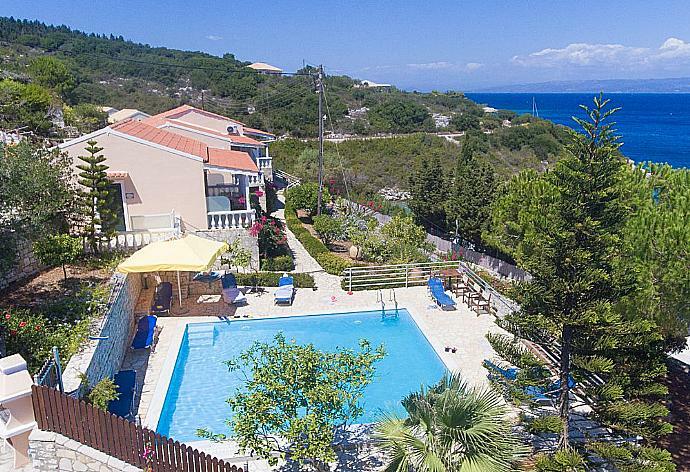 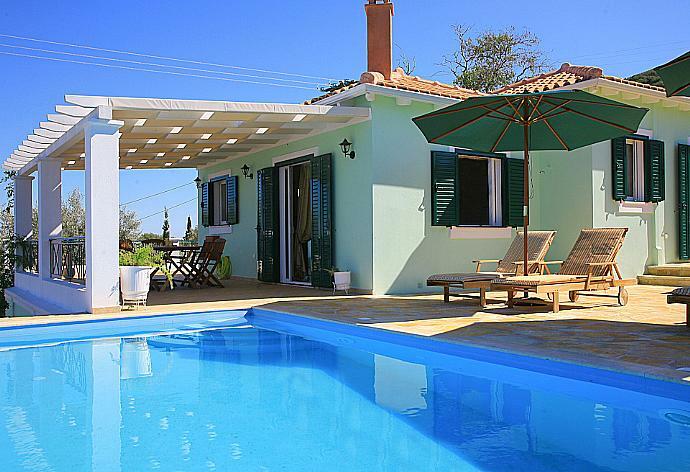 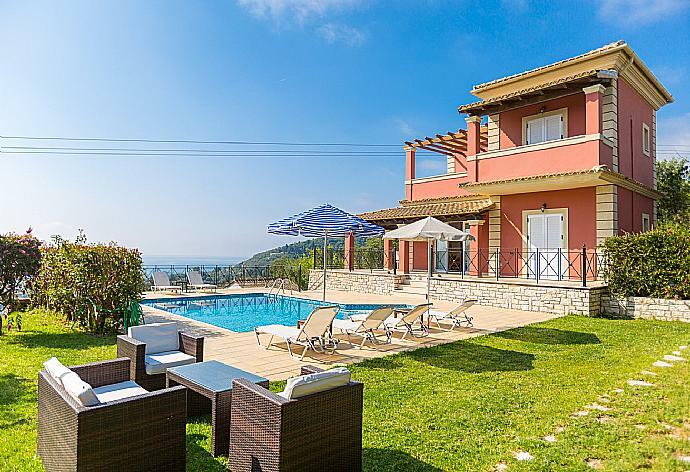 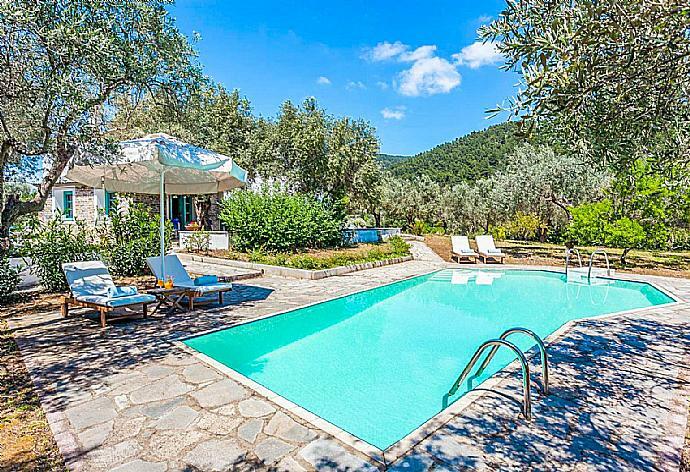 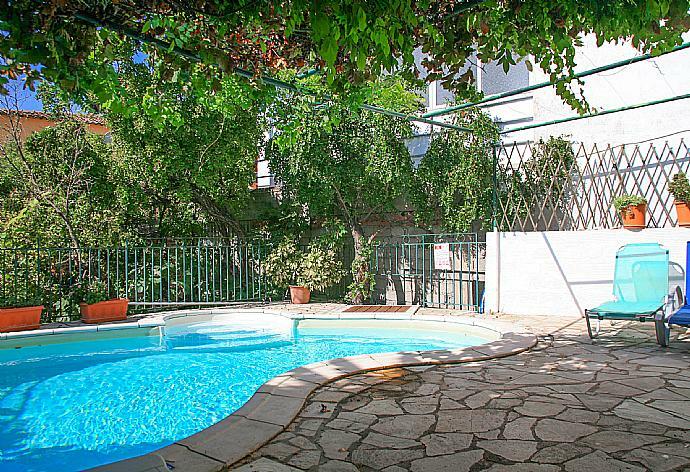 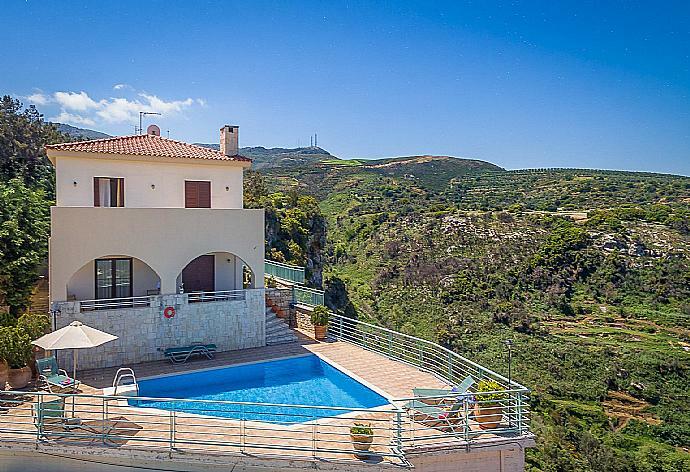 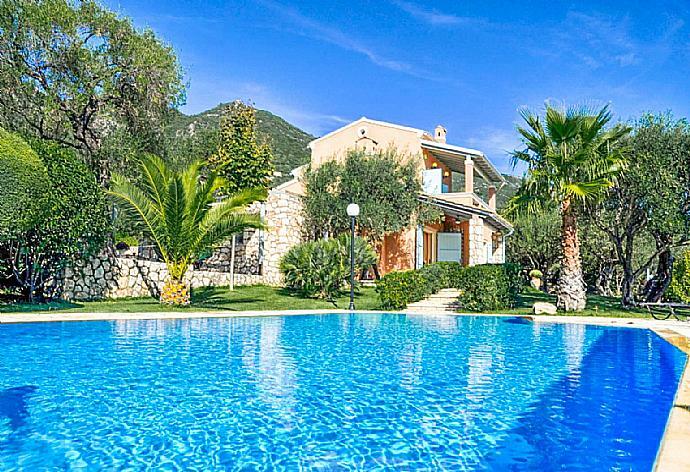 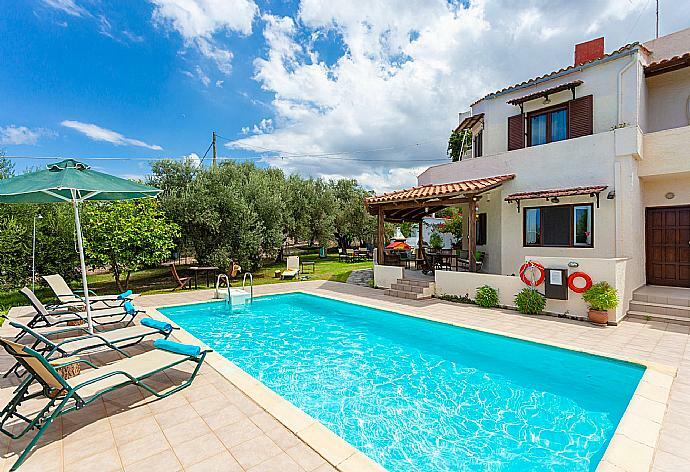 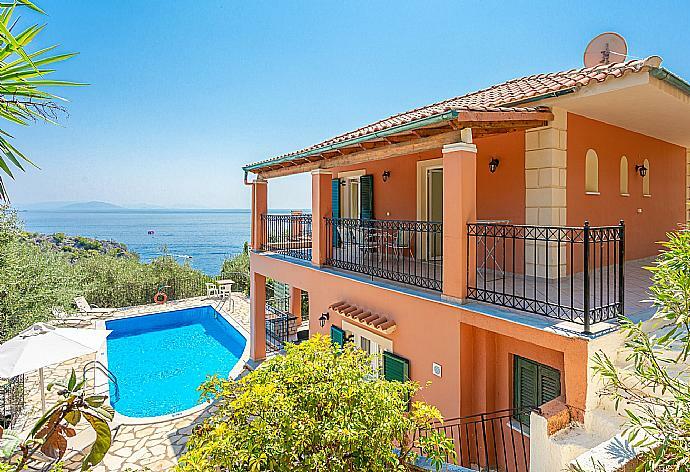 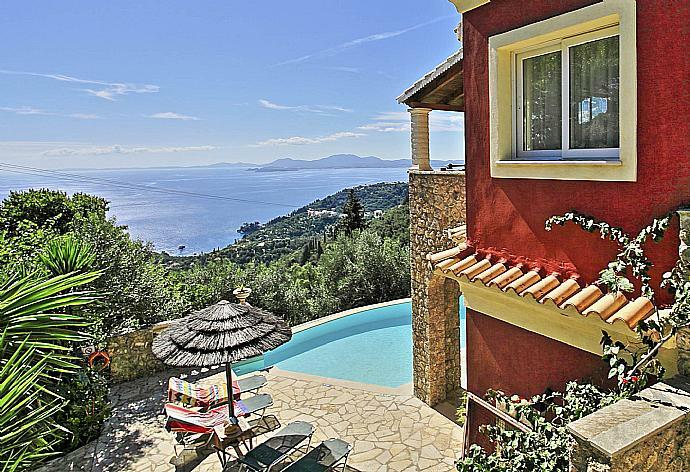 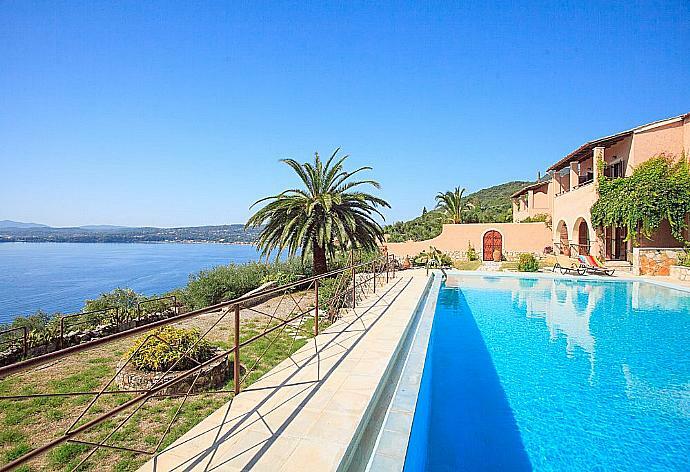 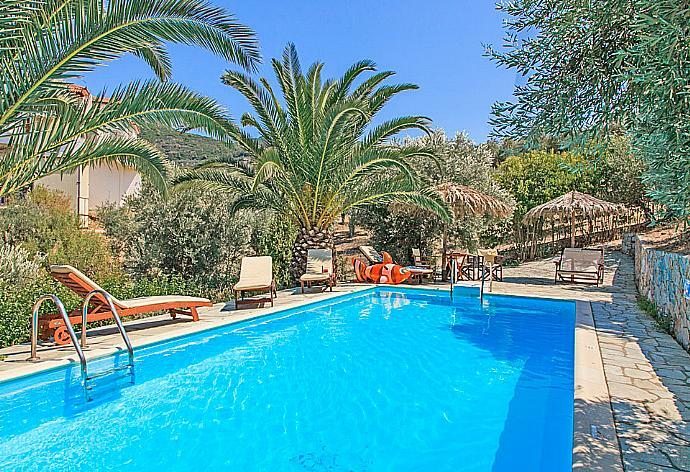 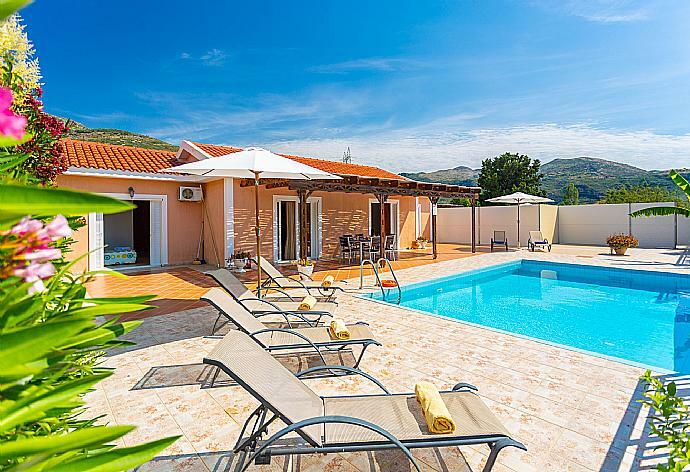 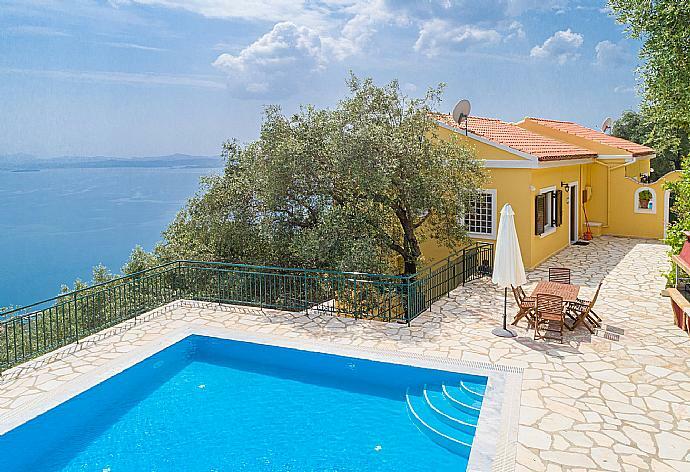 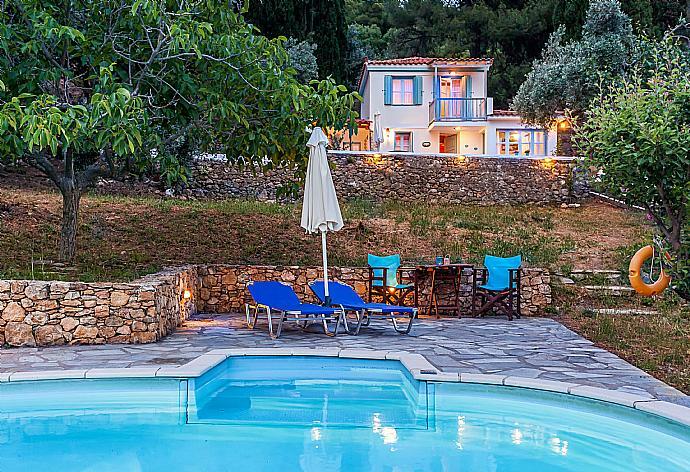 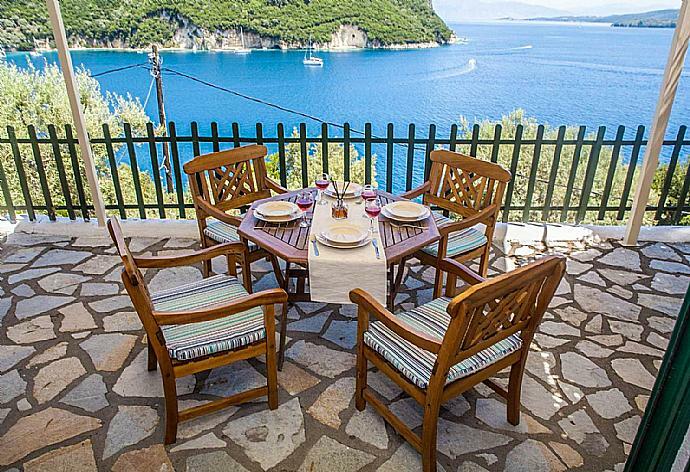 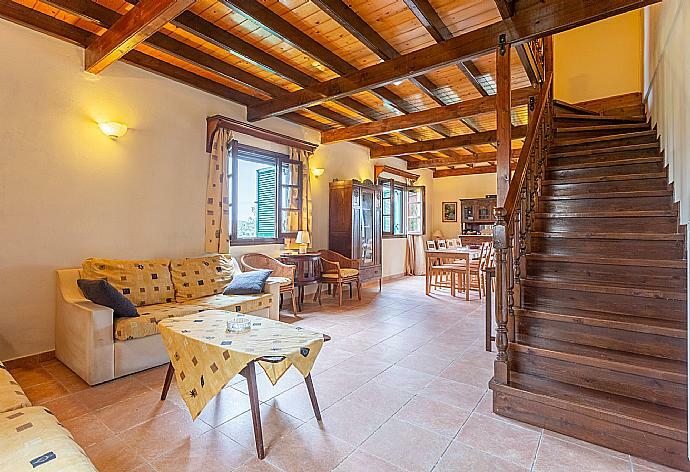 Villa Psaropouli is located in Agios Gordios South on the Greek island of Corfu. 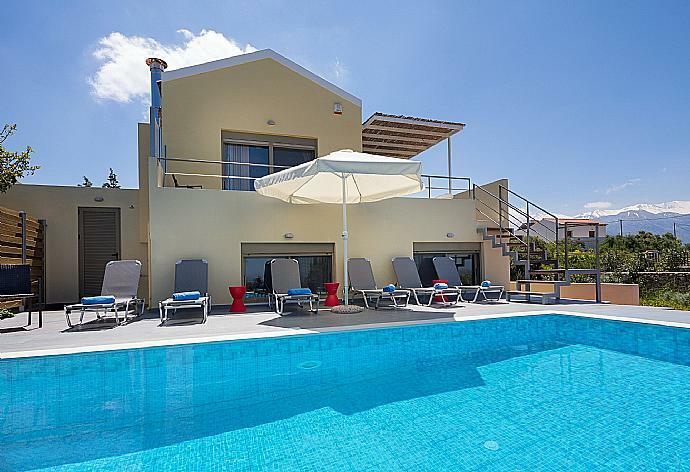 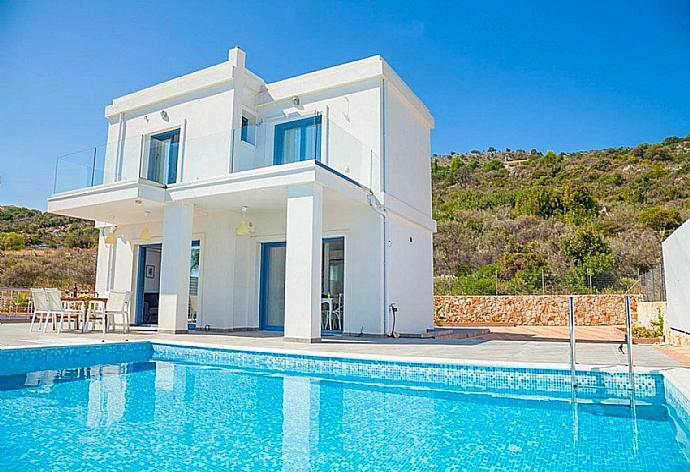 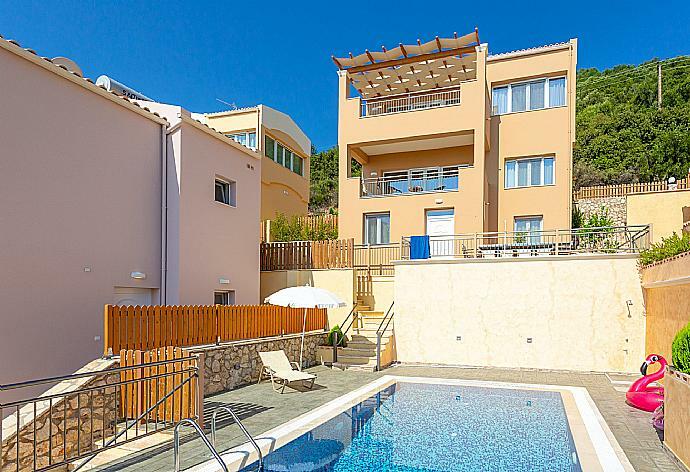 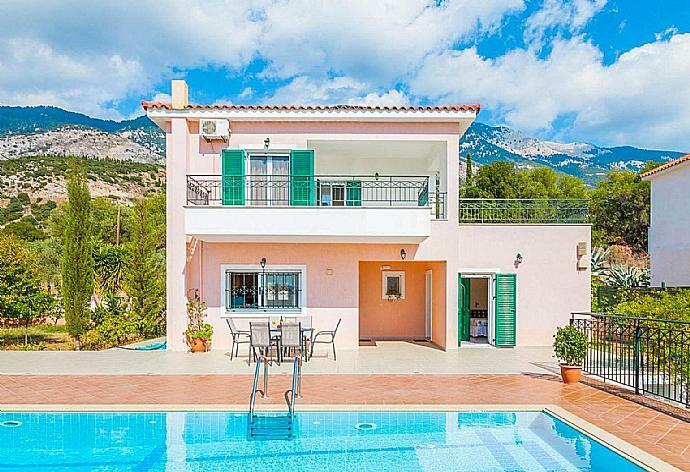 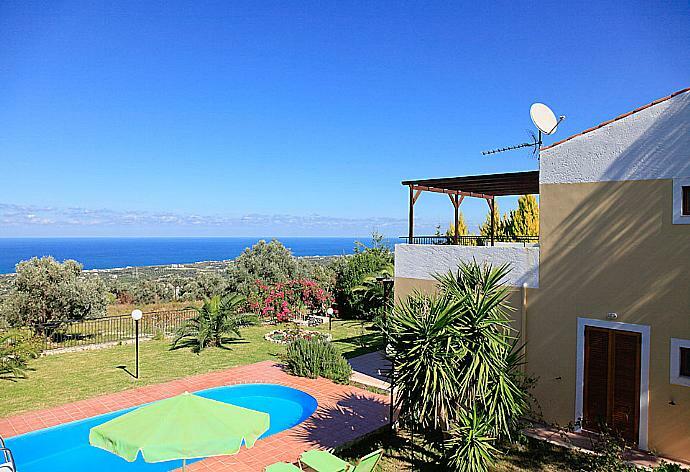 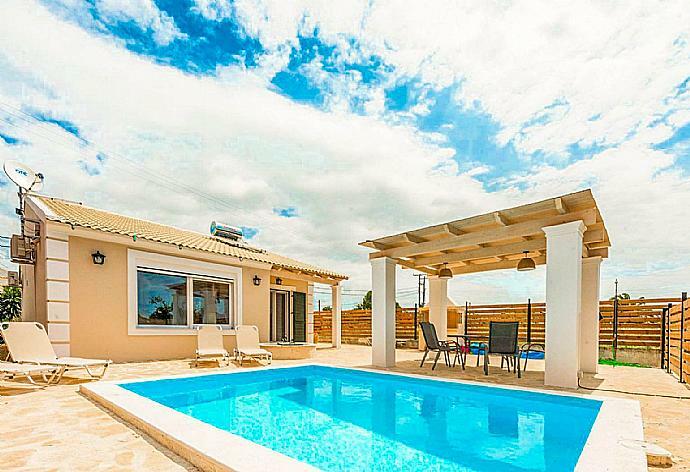 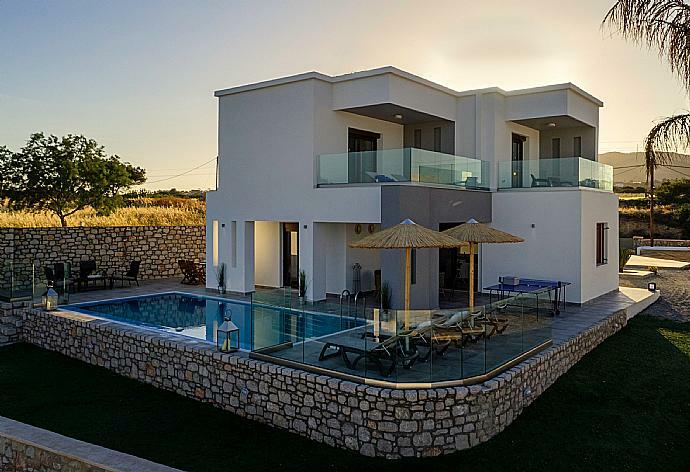 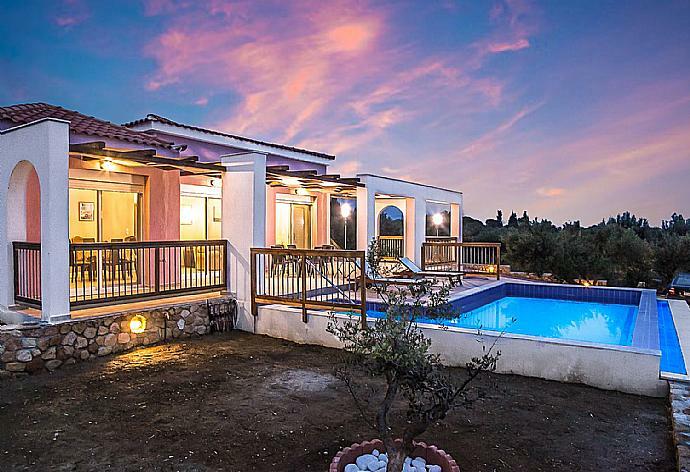 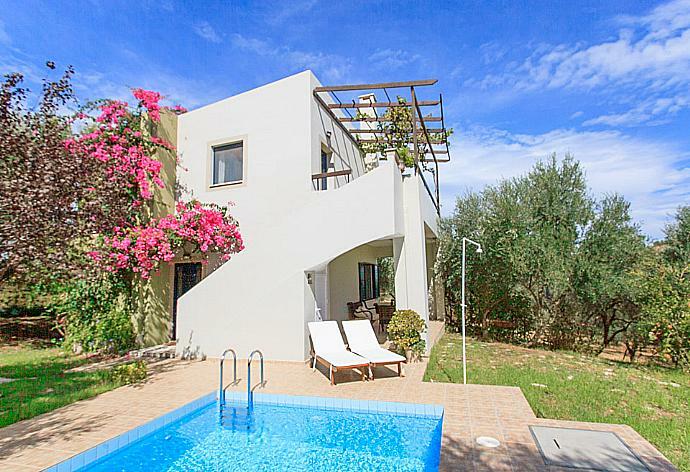 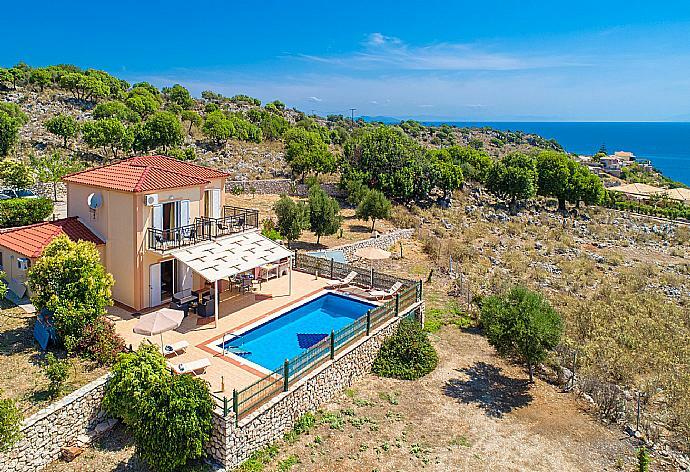 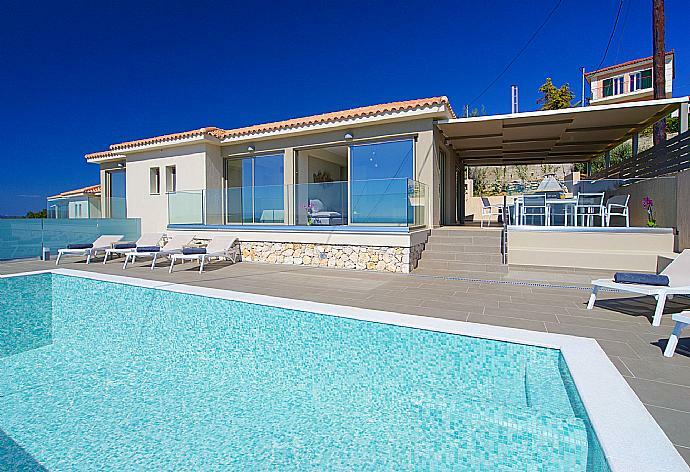 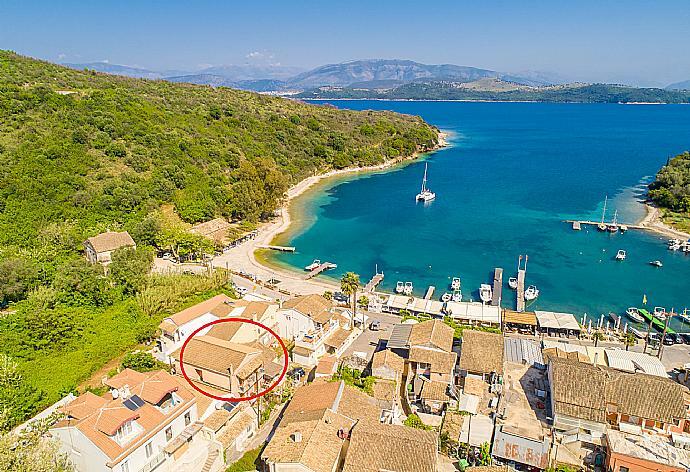 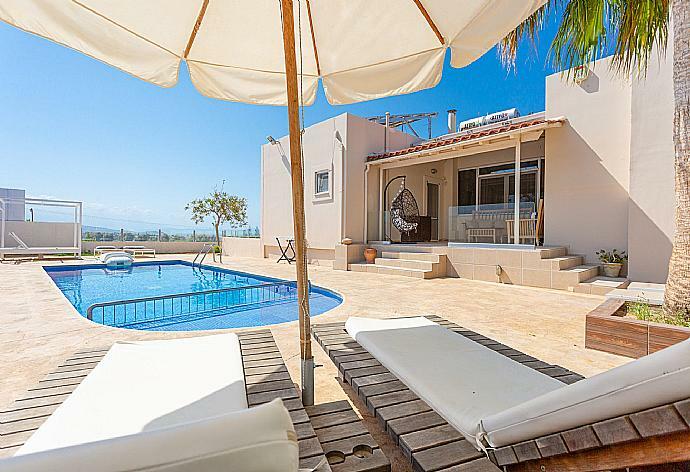 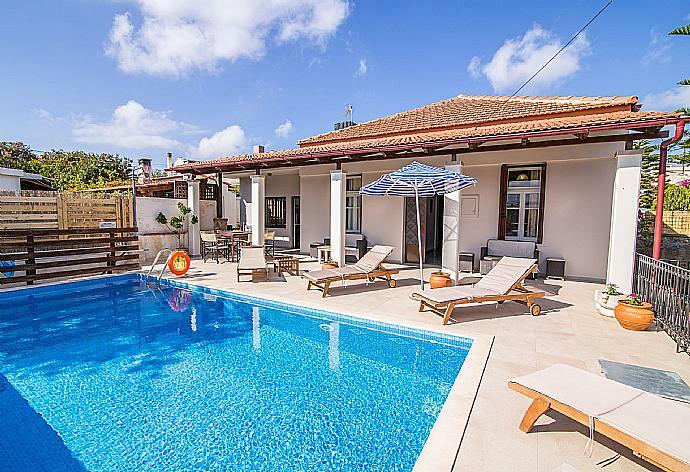 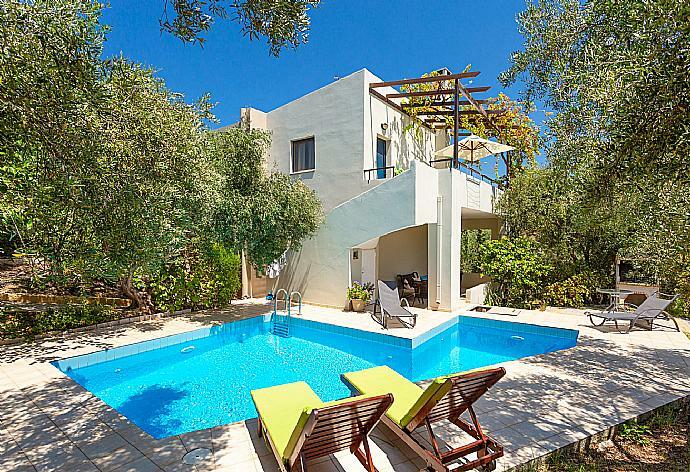 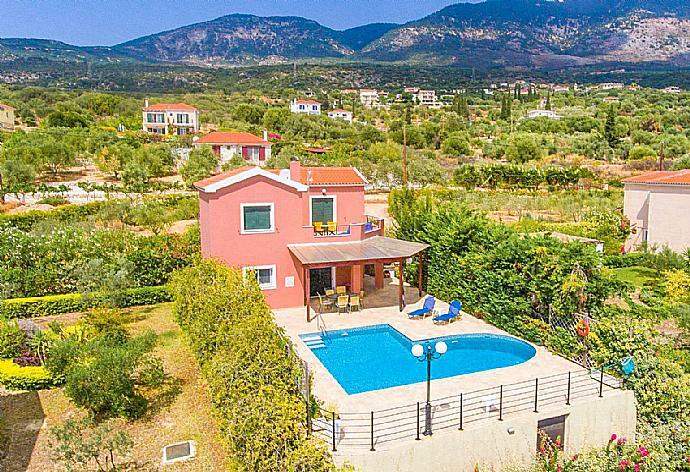 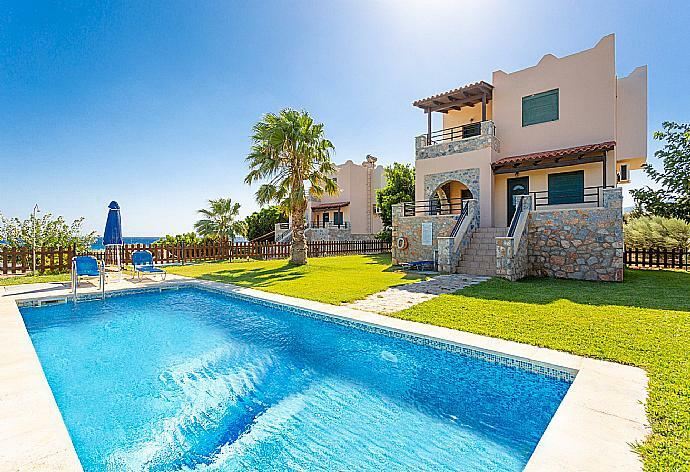 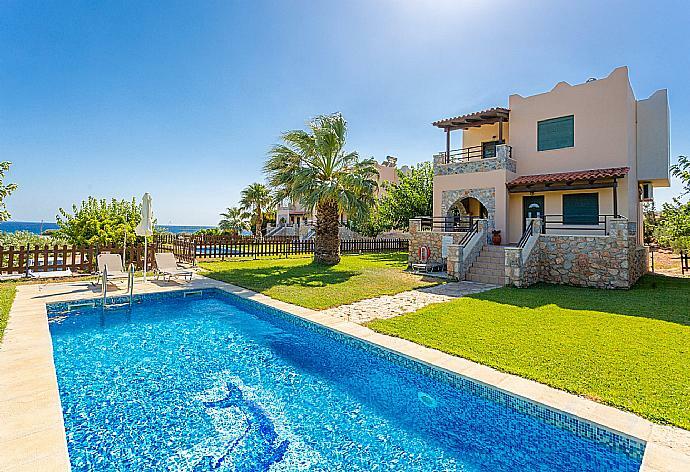 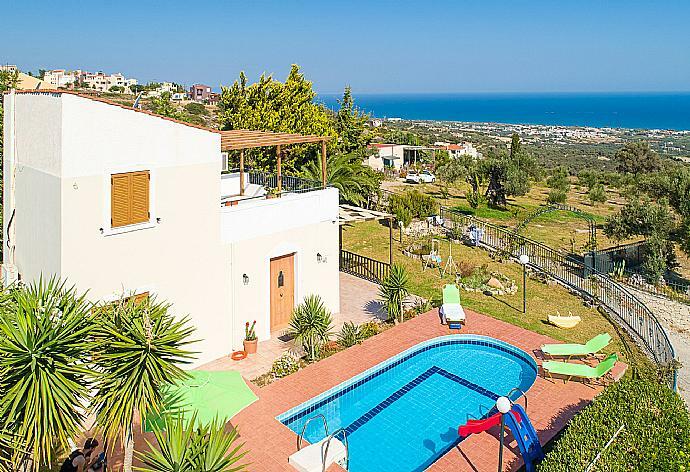 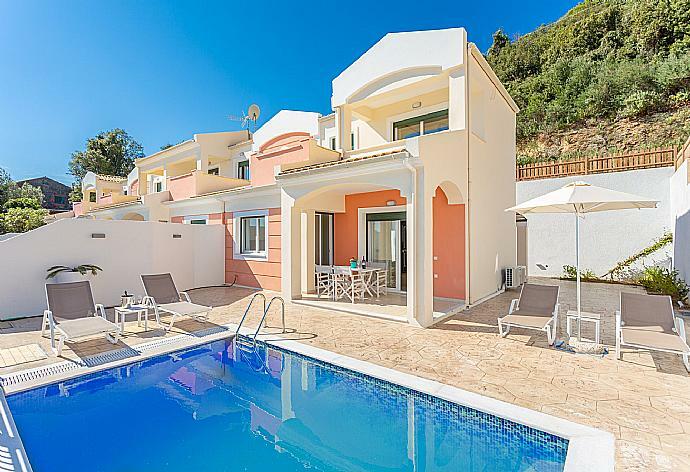 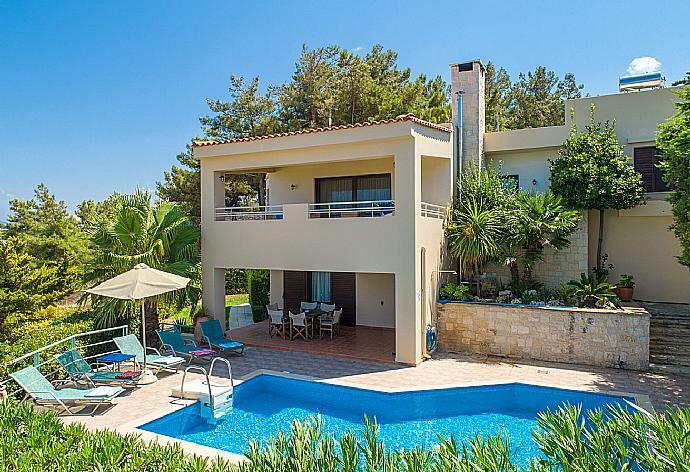 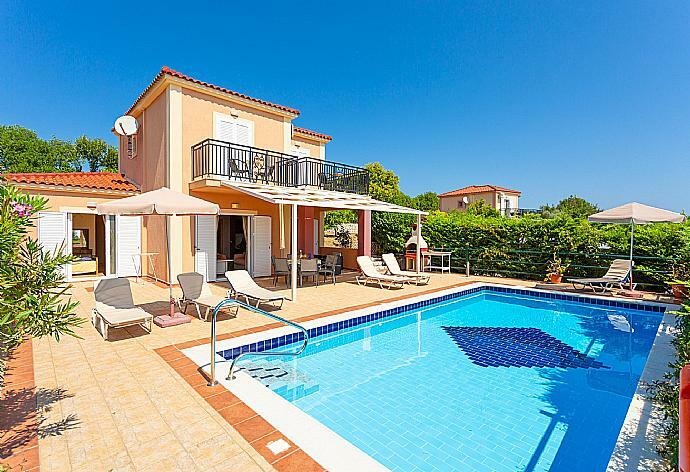 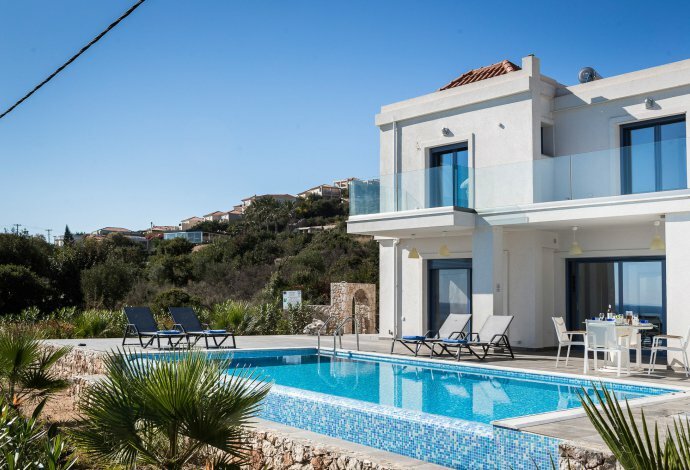 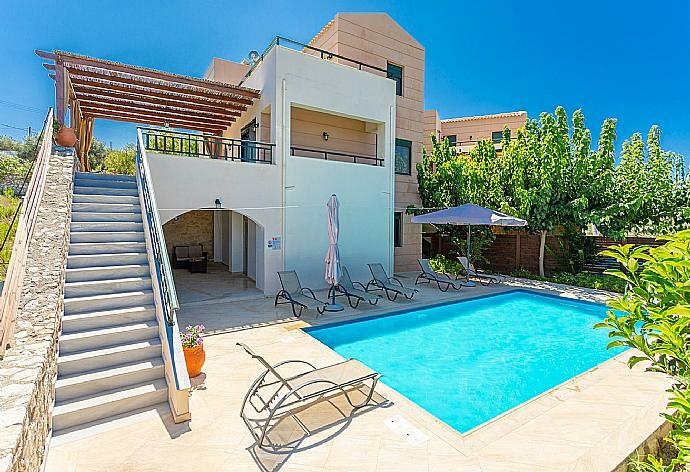 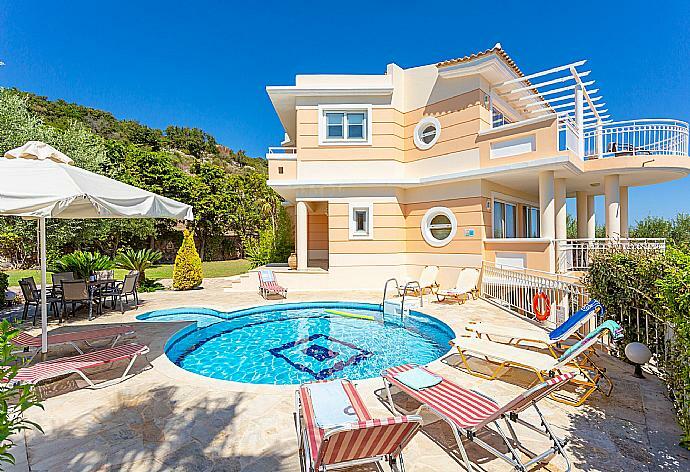 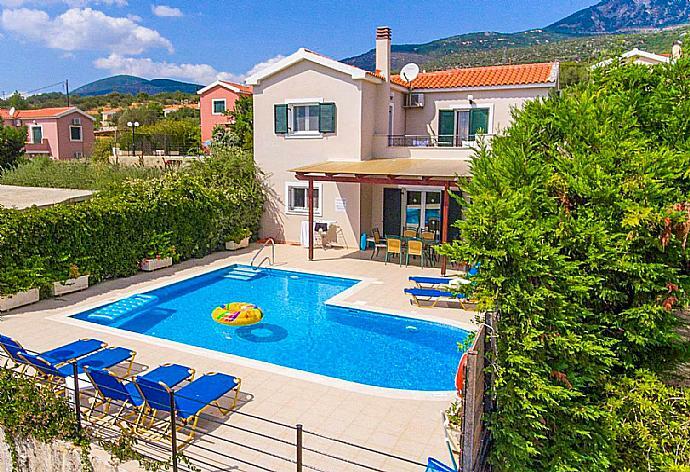 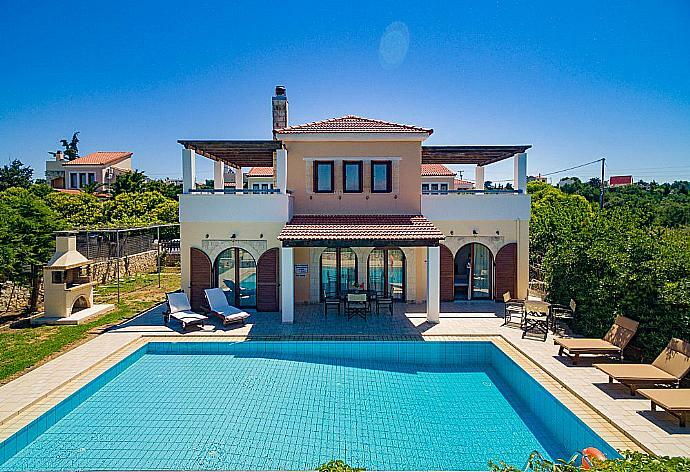 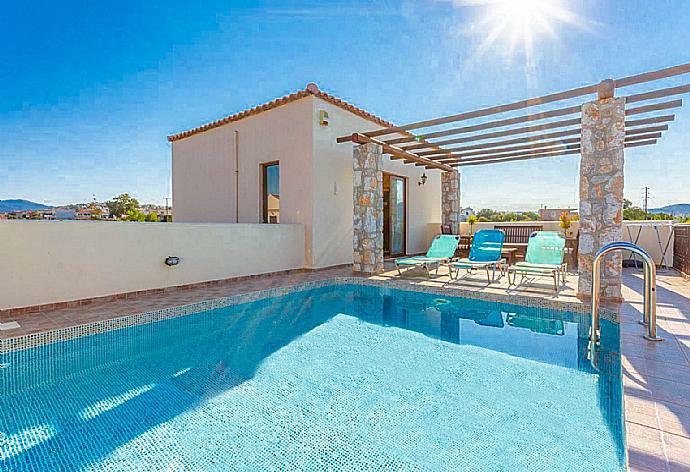 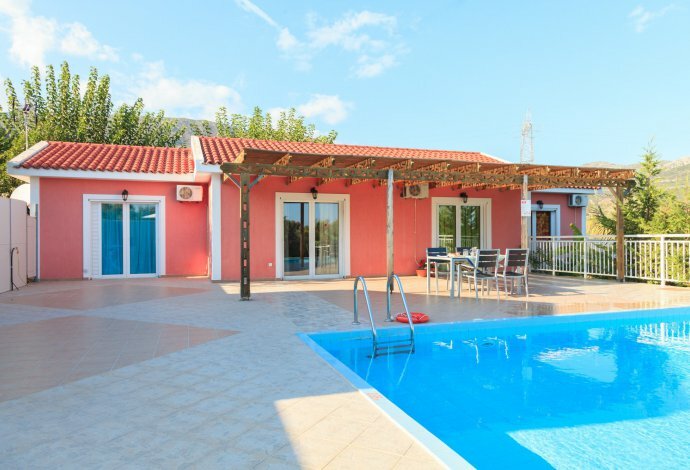 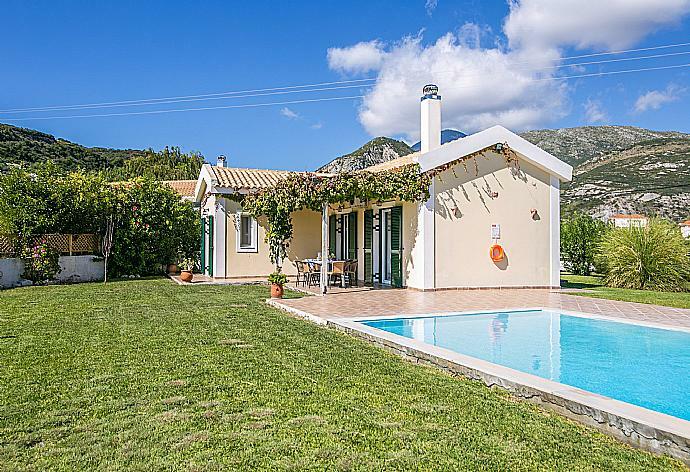 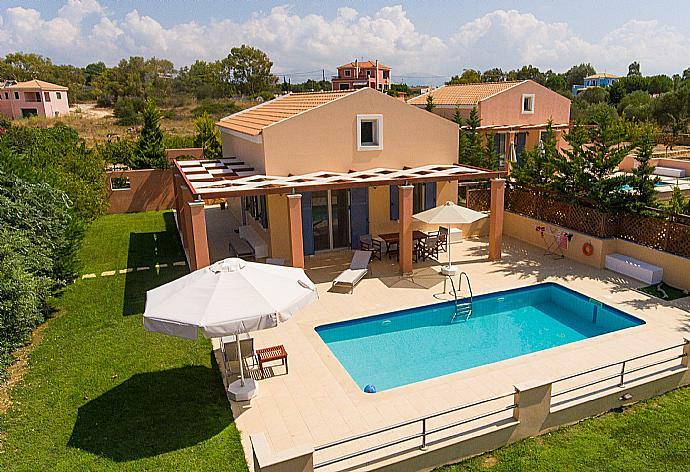 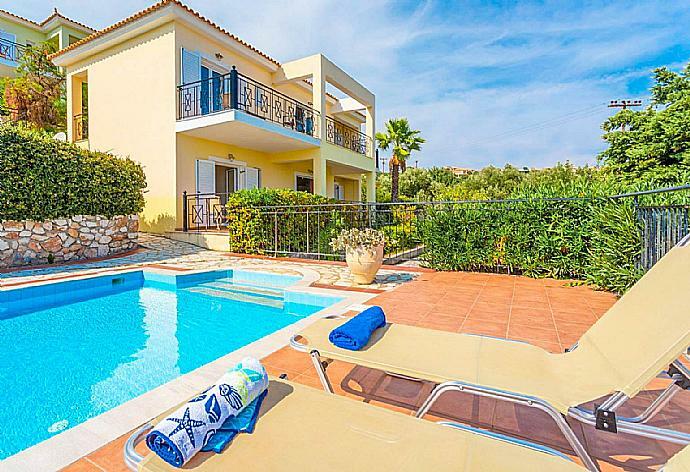 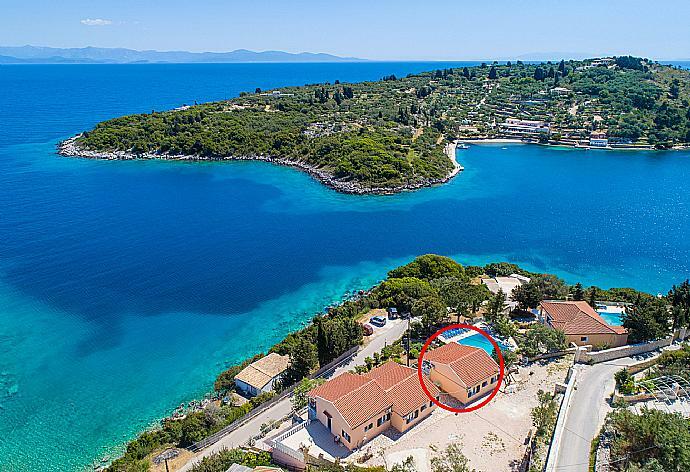 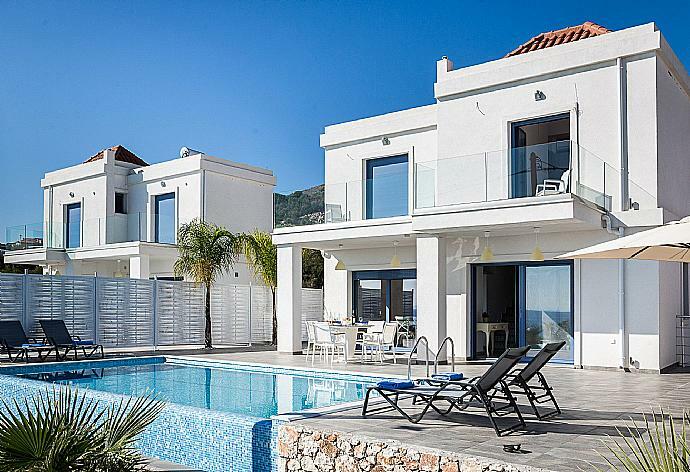 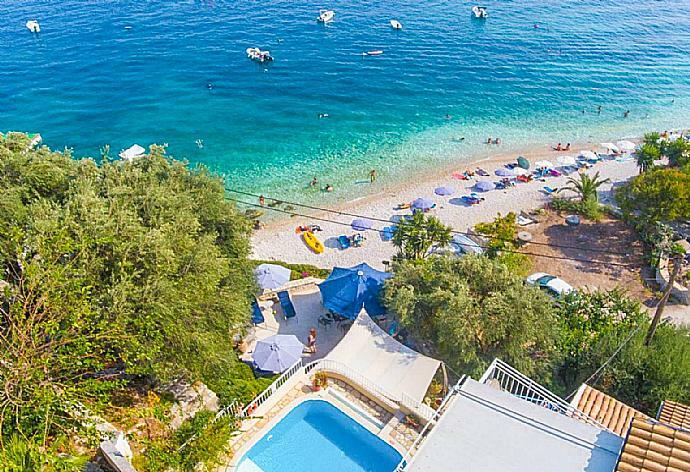 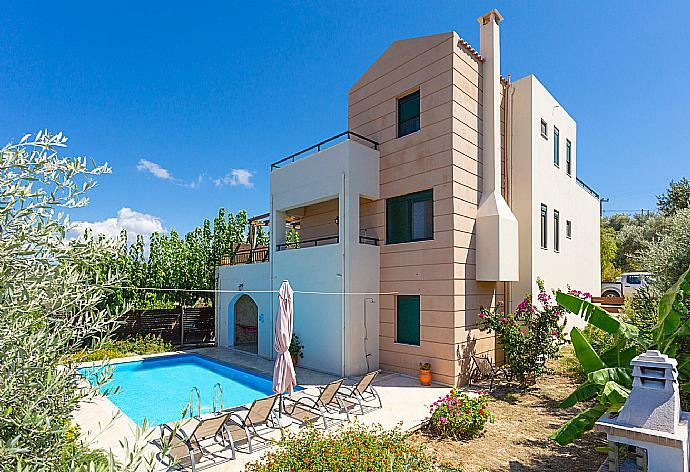 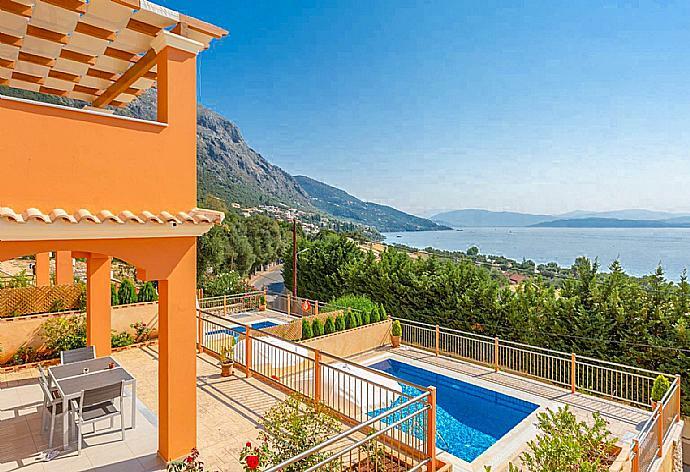 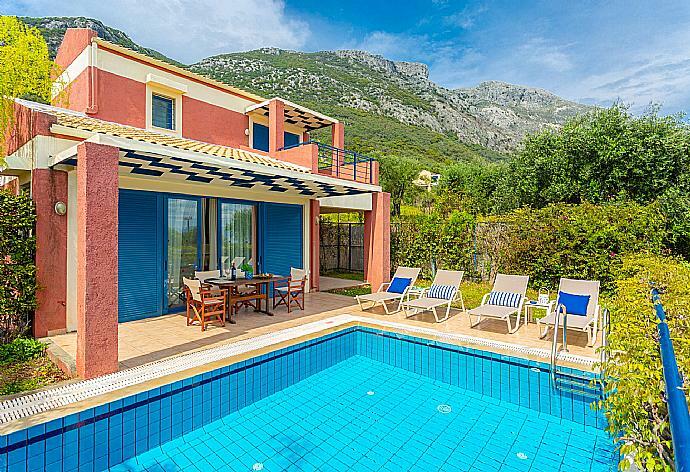 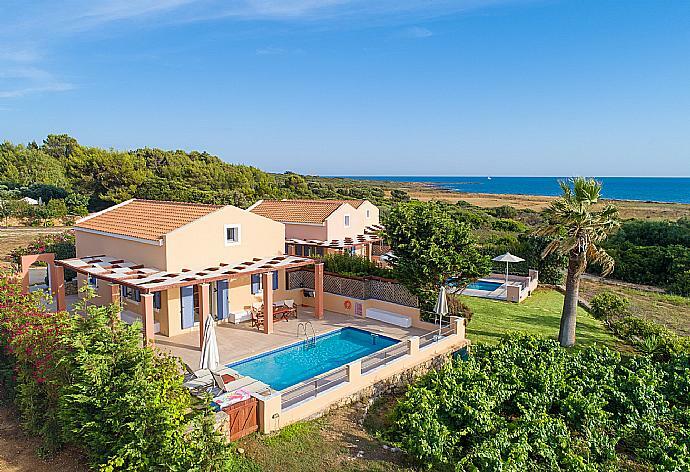 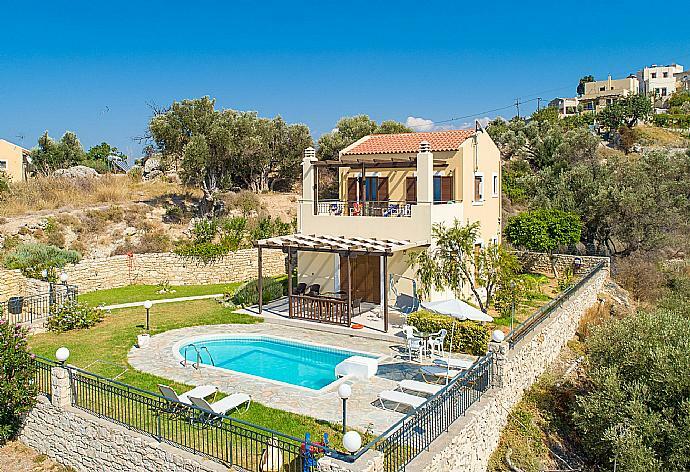 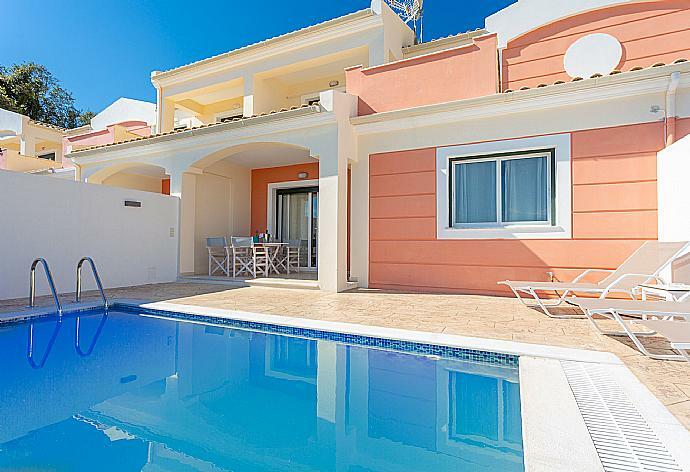 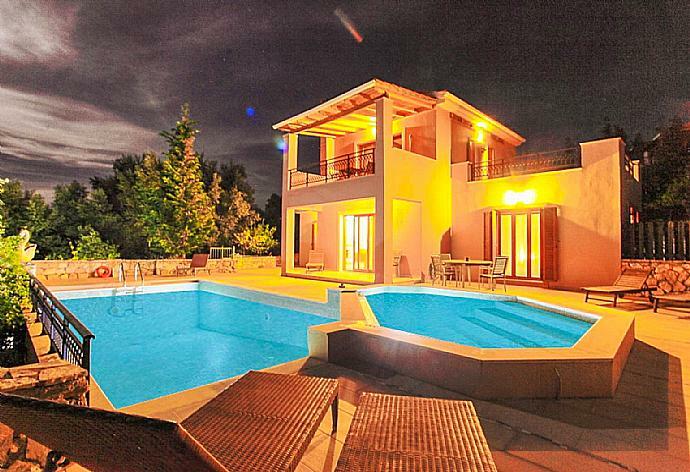 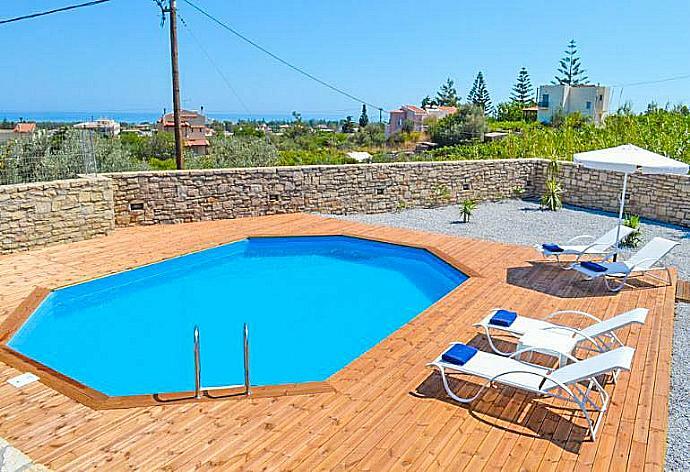 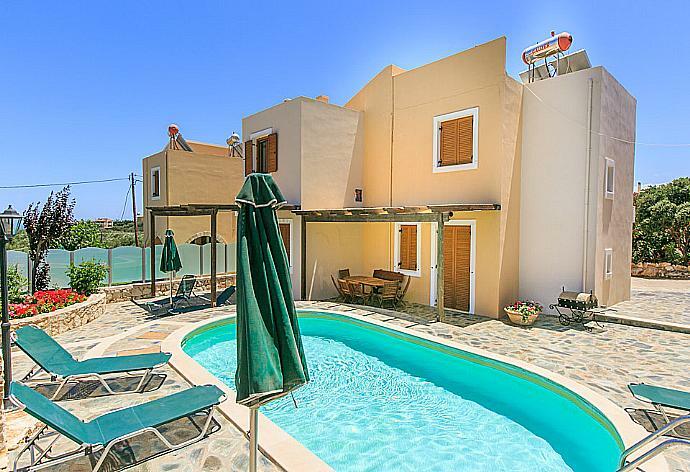 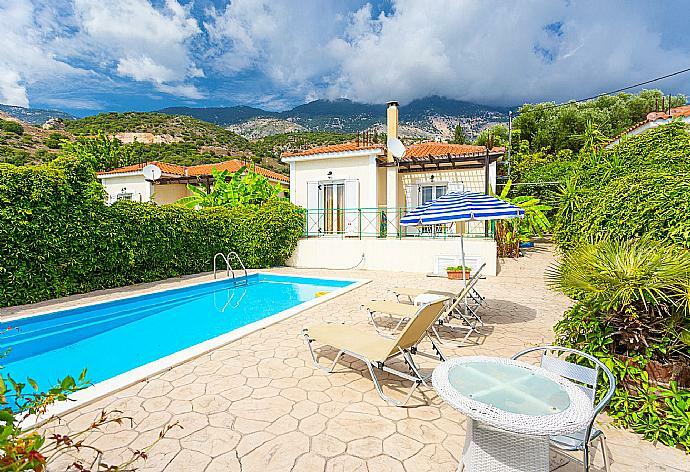 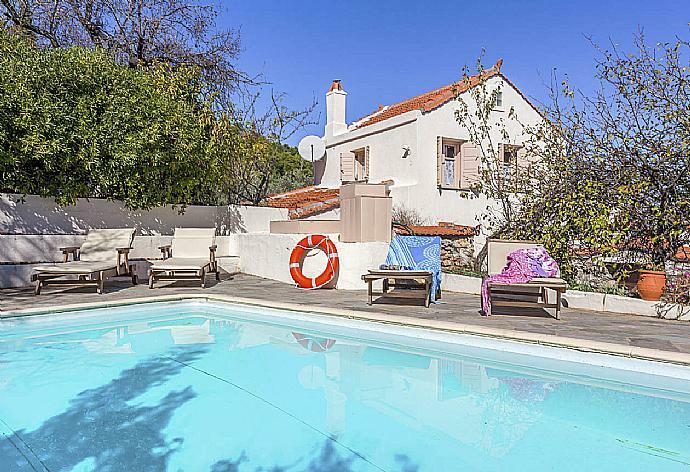 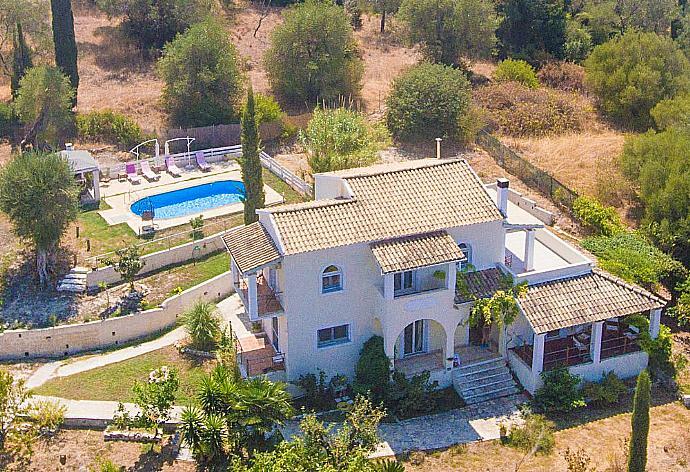 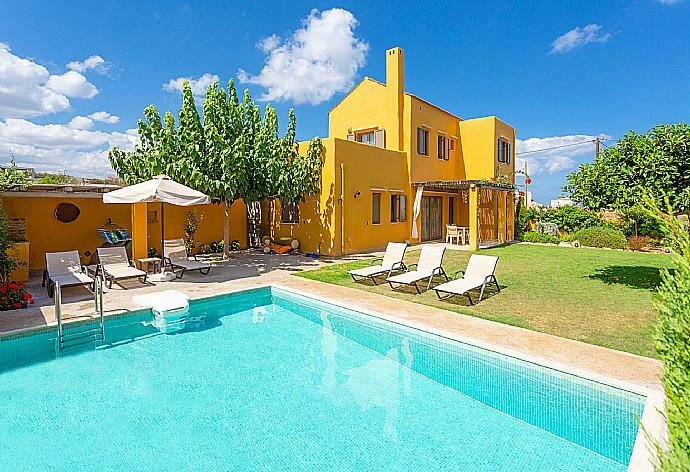 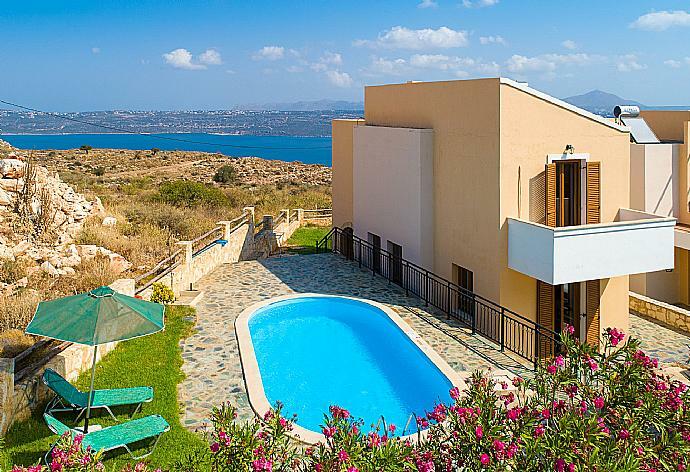 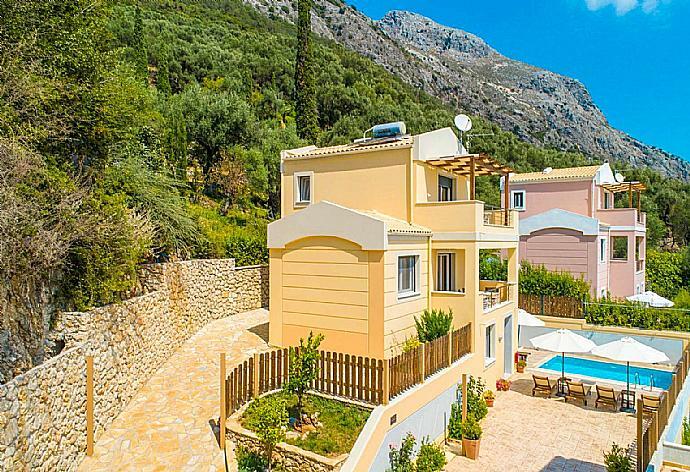 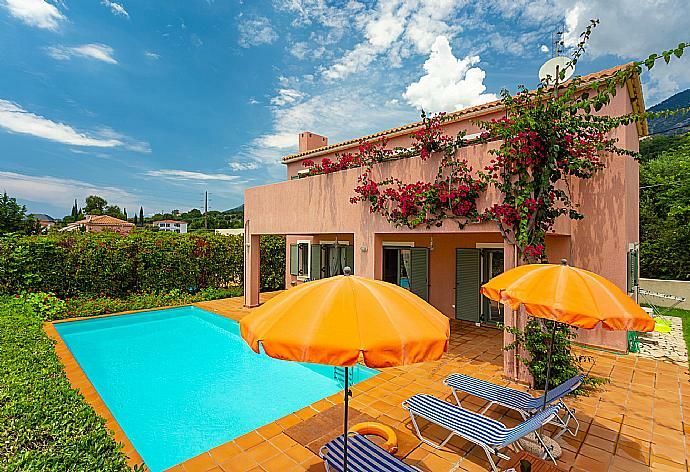 This detached vacation rental property is air-conditioned and sleeps up to 6 people (4 adults and 2 children) with 2 bedrooms, 2 bathrooms along with private swimming pool. 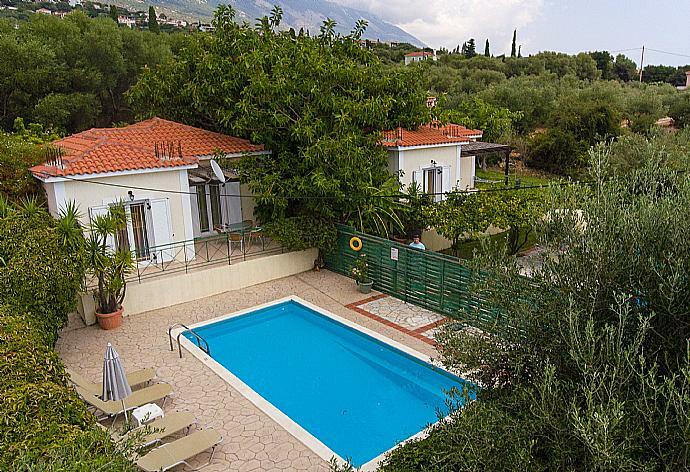 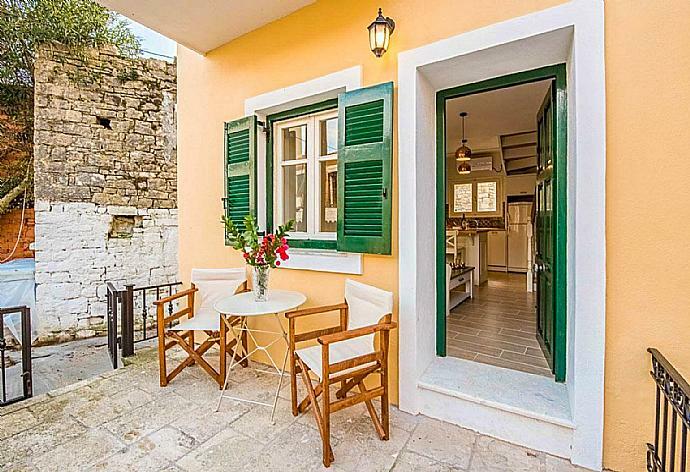 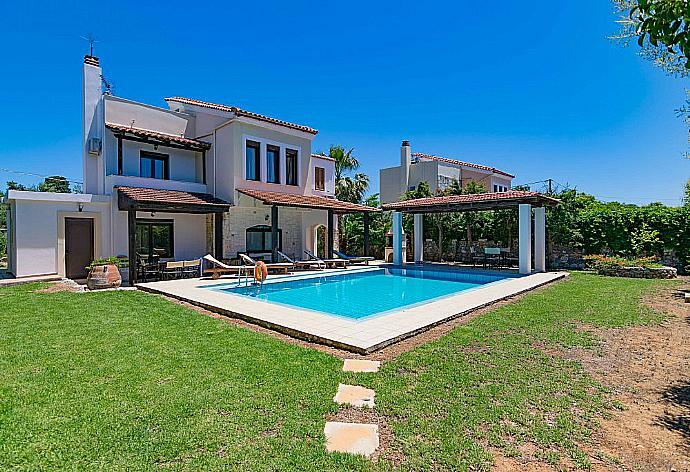 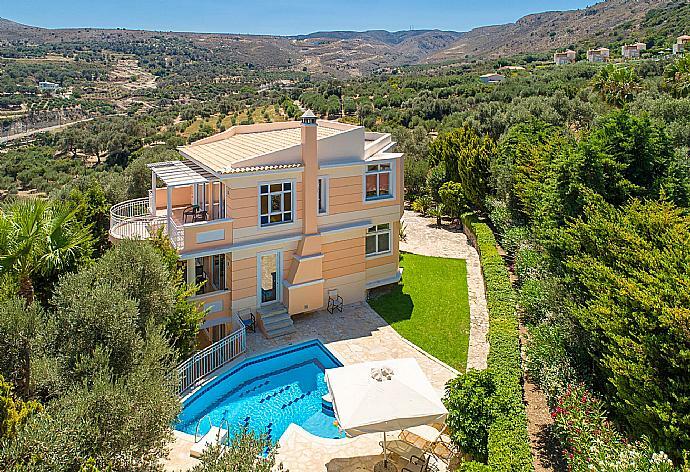 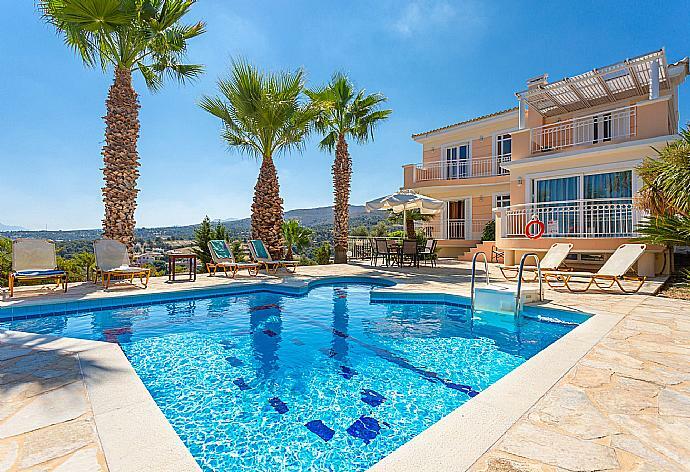 The villa is walking distance to restaurants.